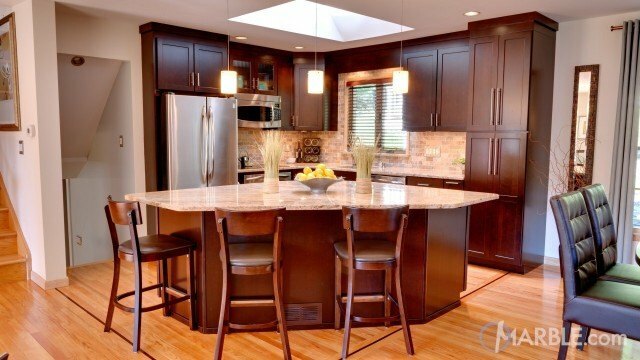 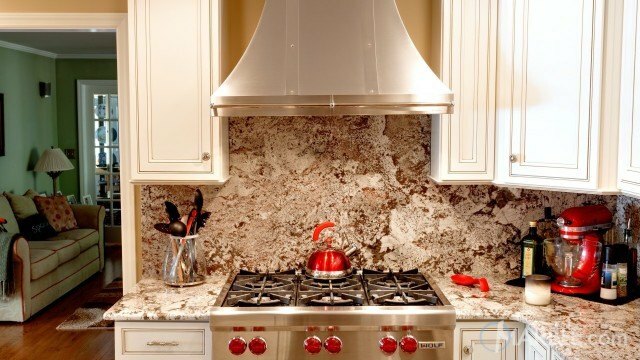 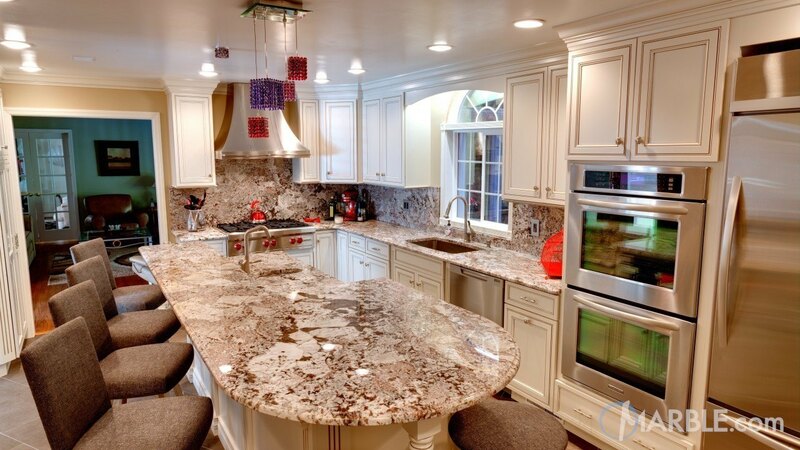 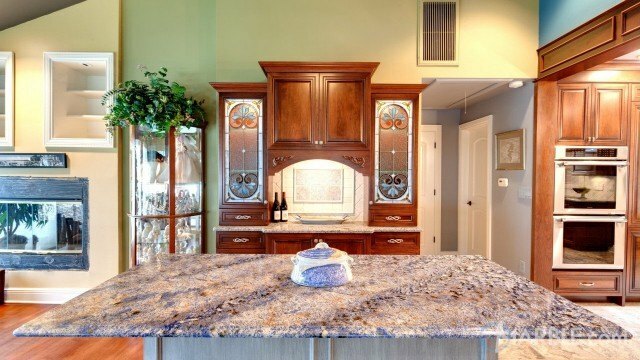 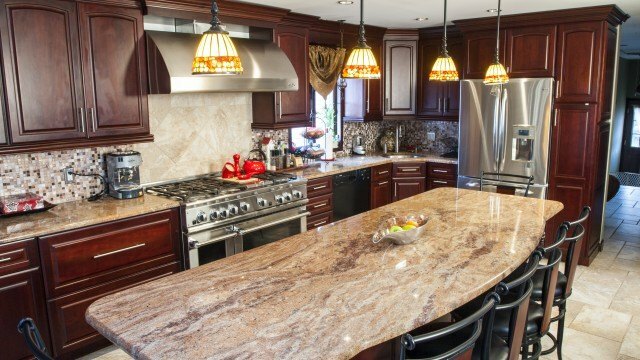 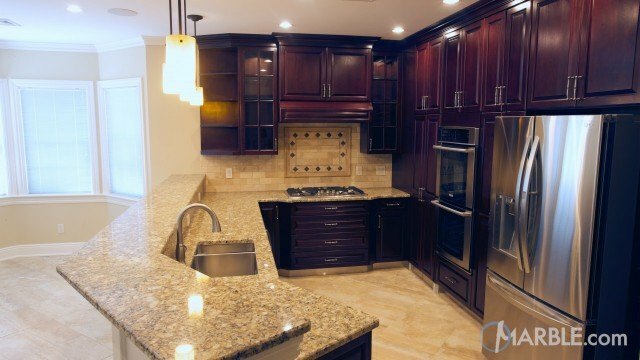 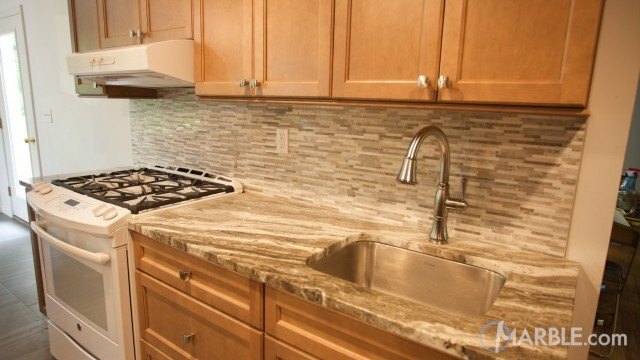 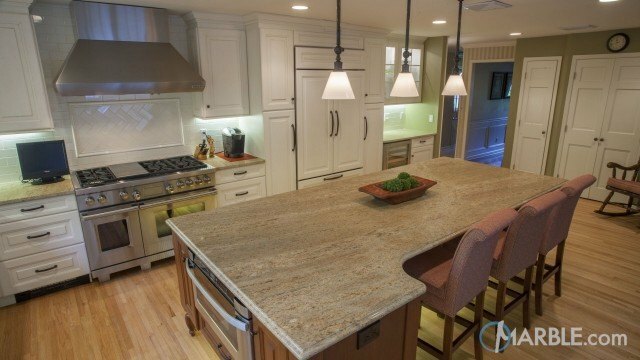 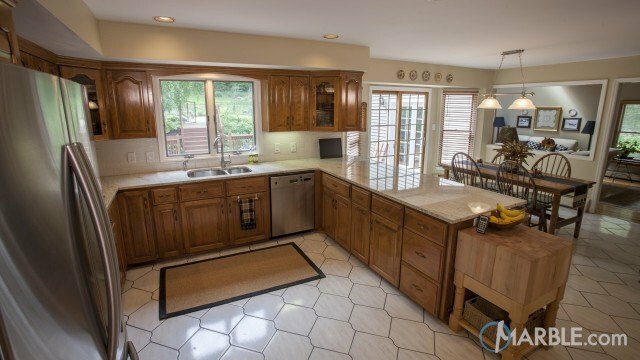 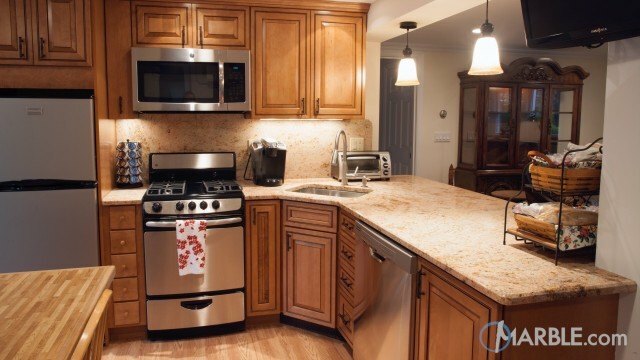 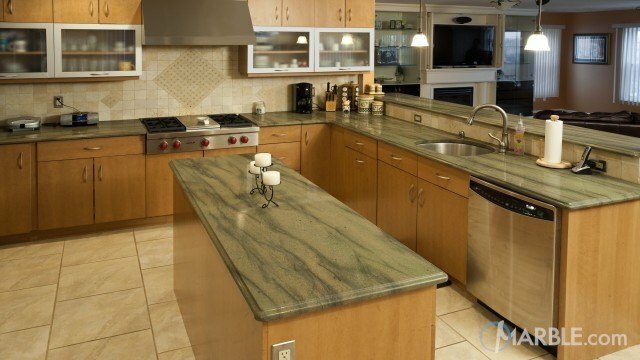 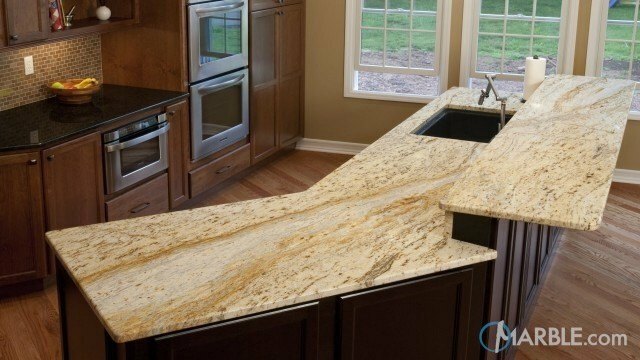 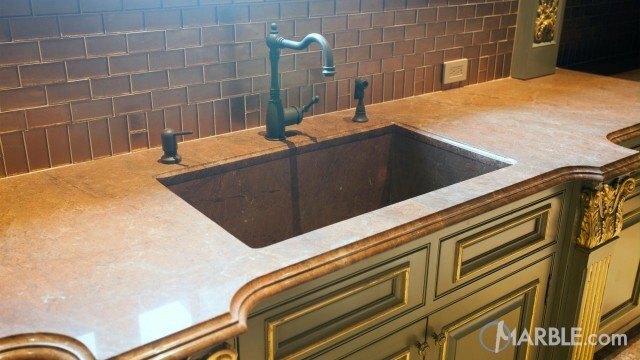 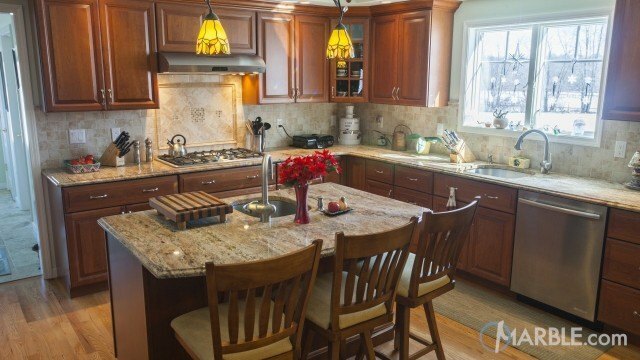 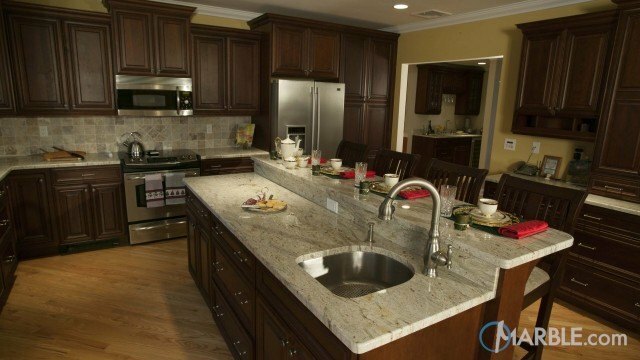 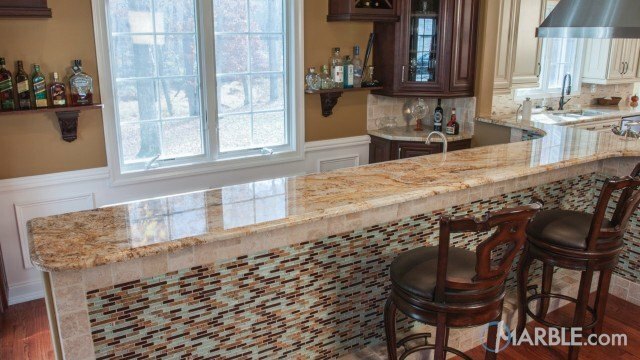 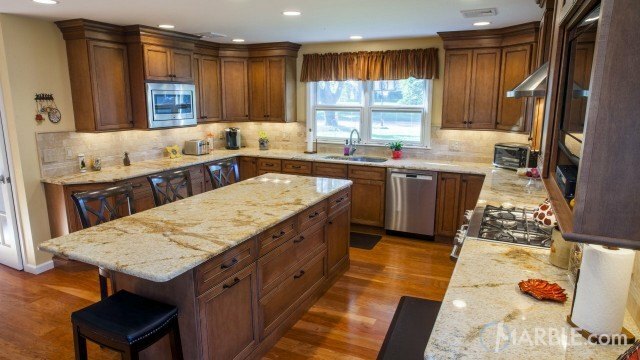 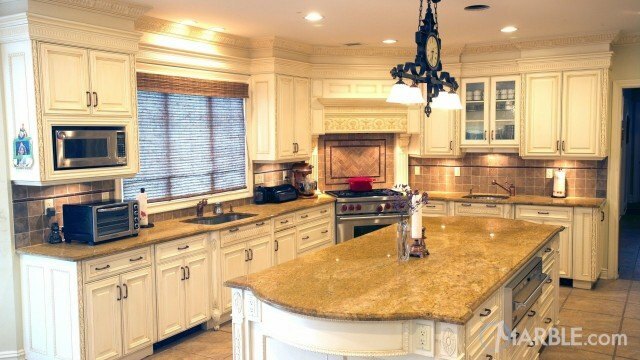 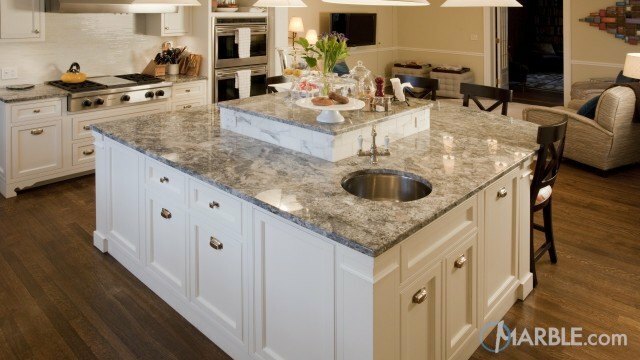 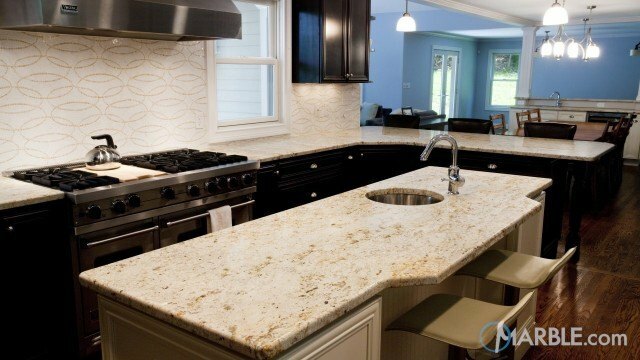 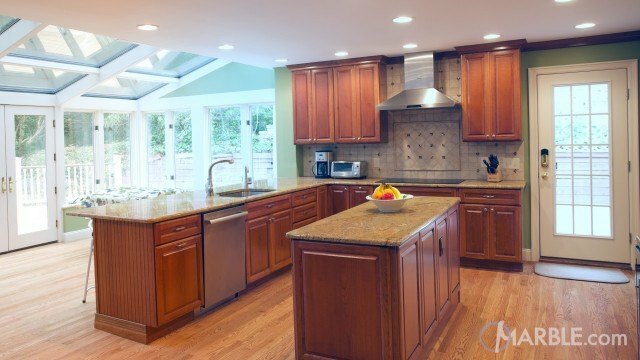 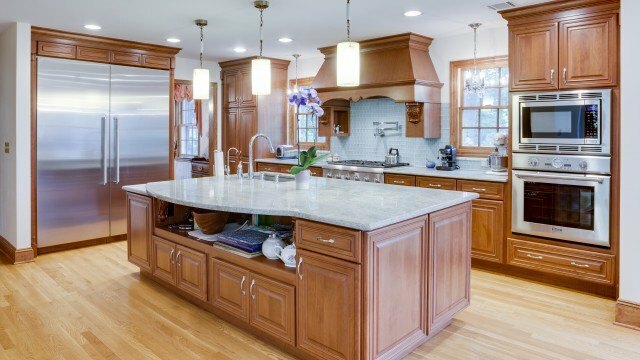 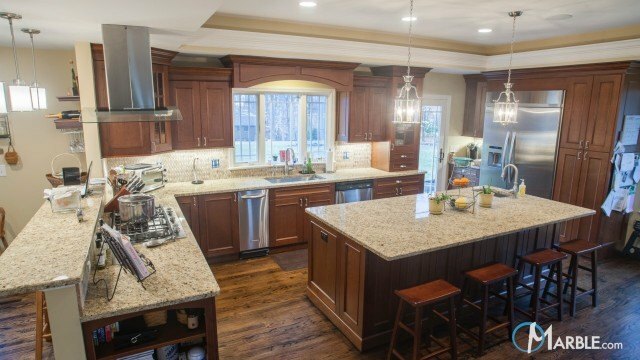 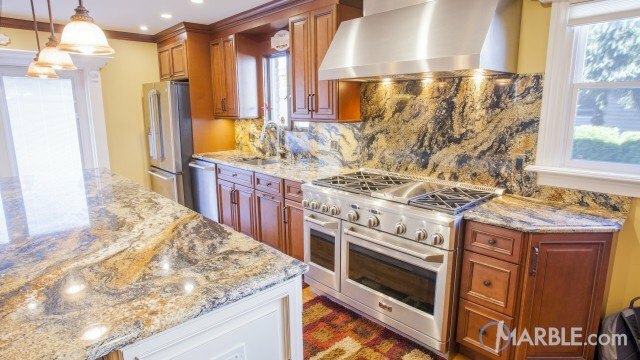 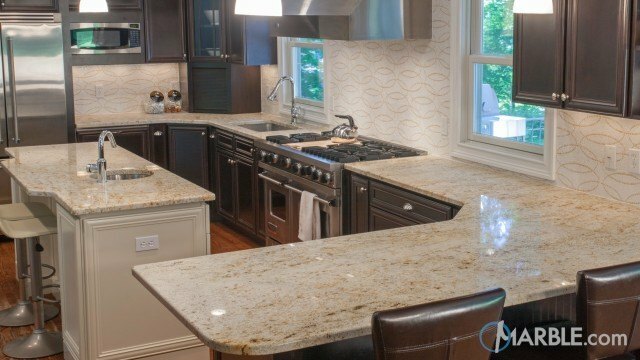 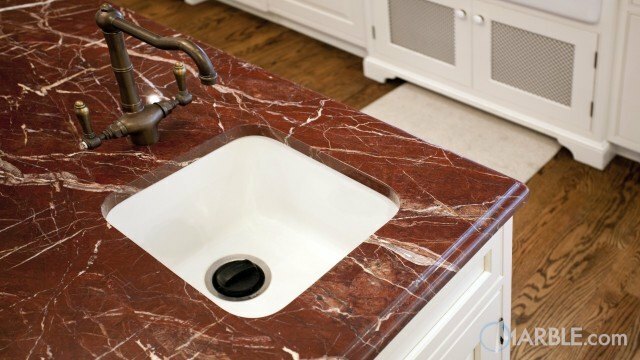 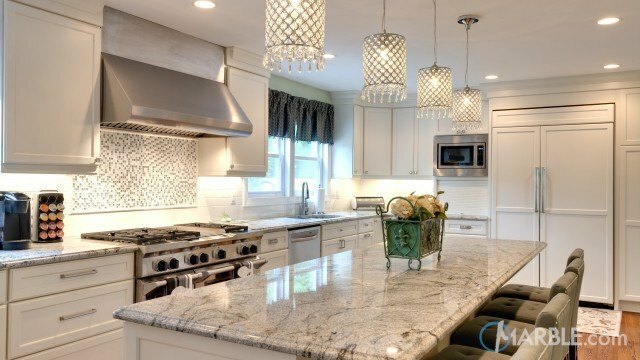 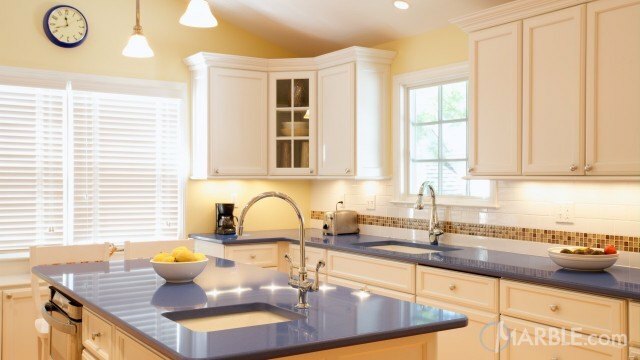 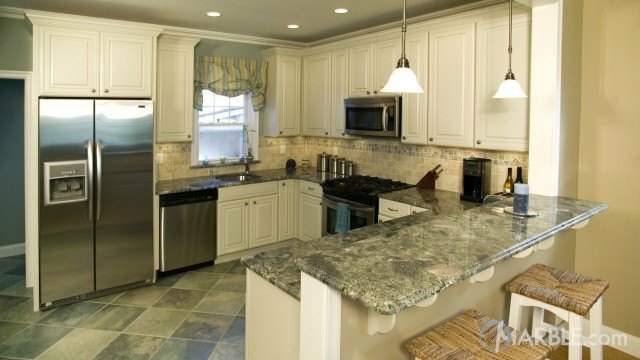 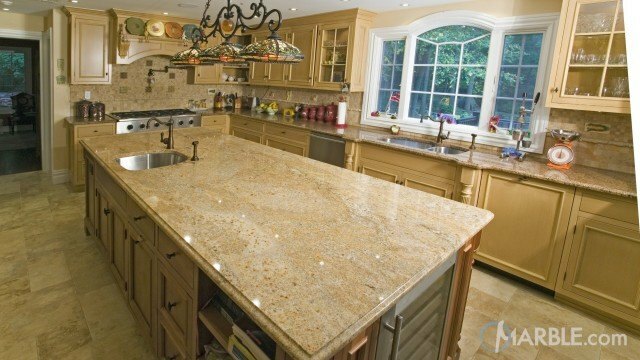 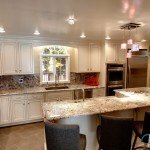 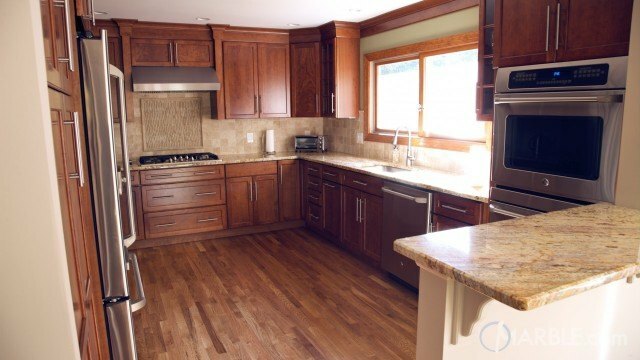 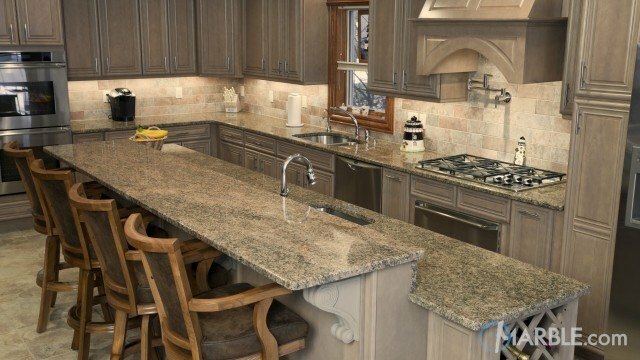 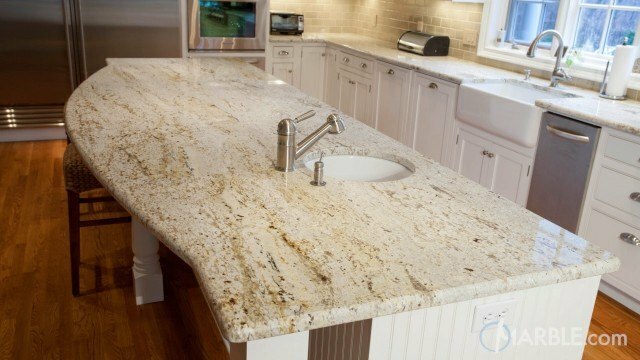 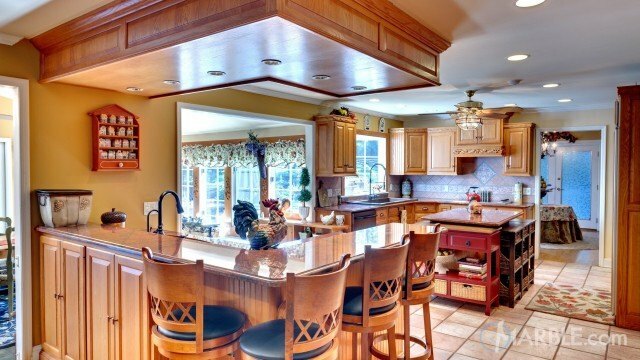 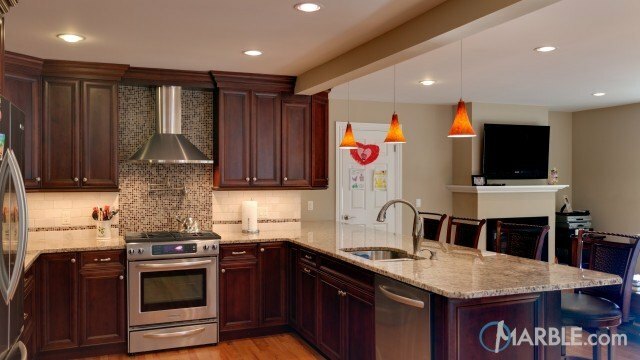 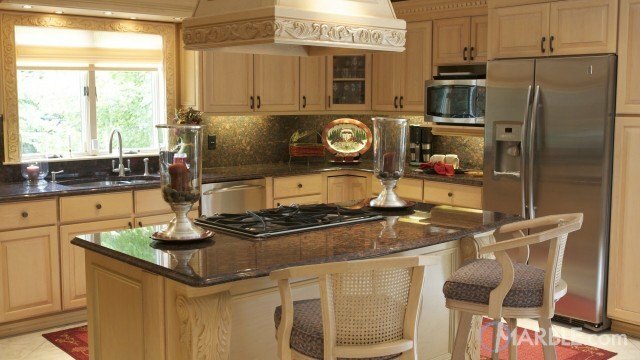 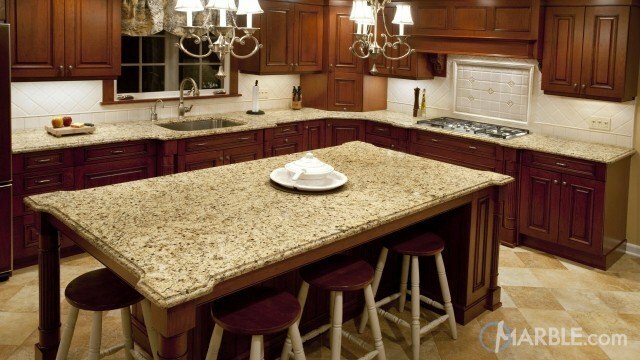 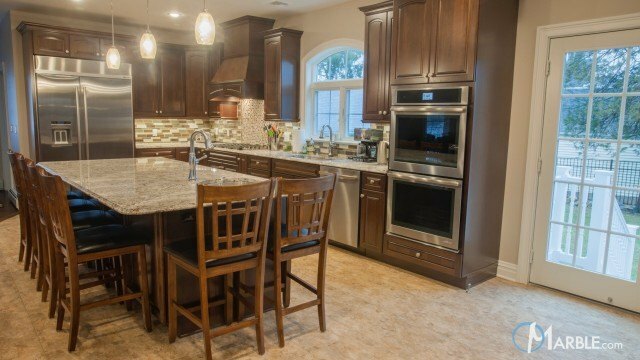 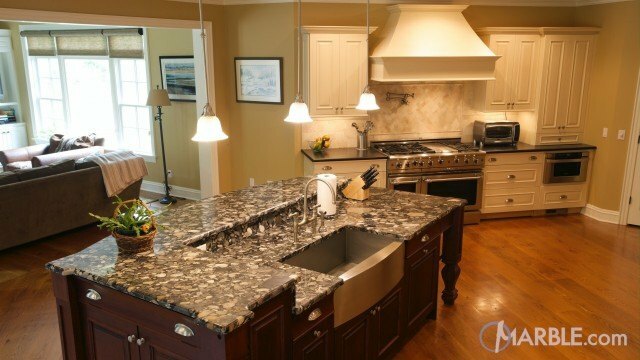 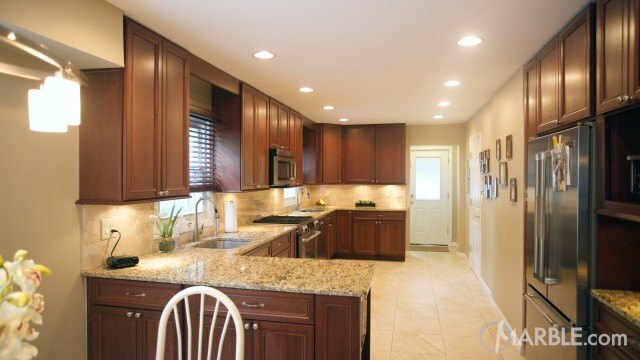 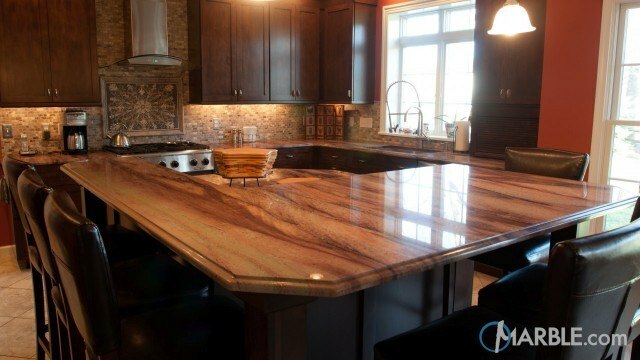 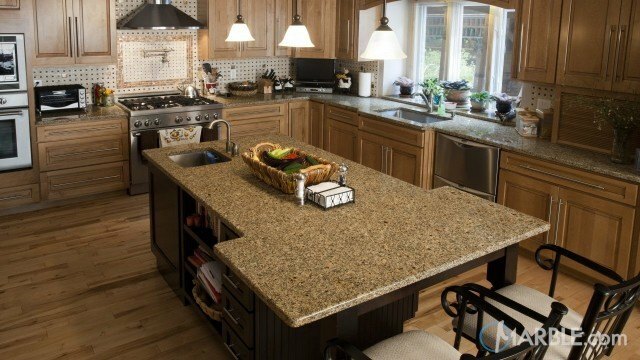 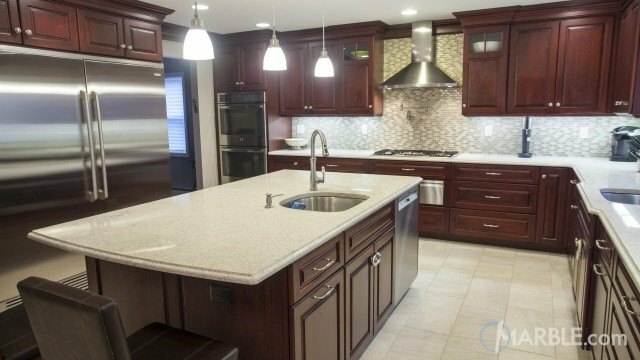 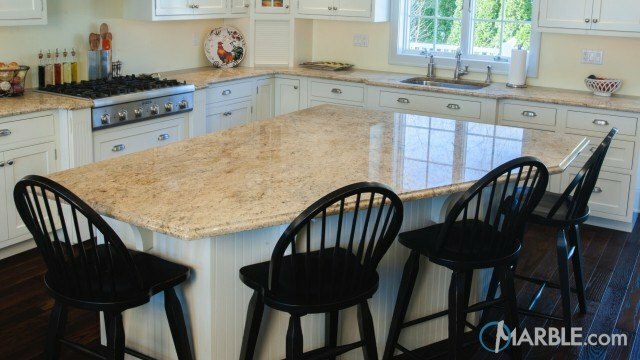 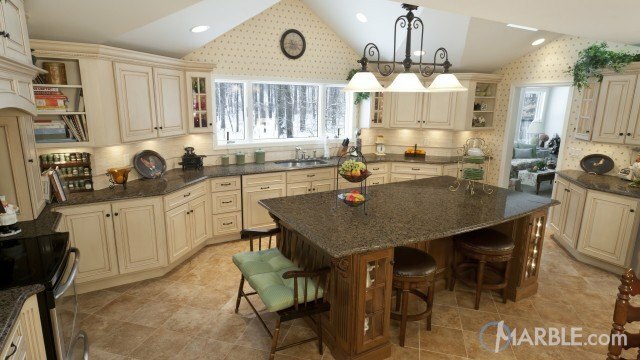 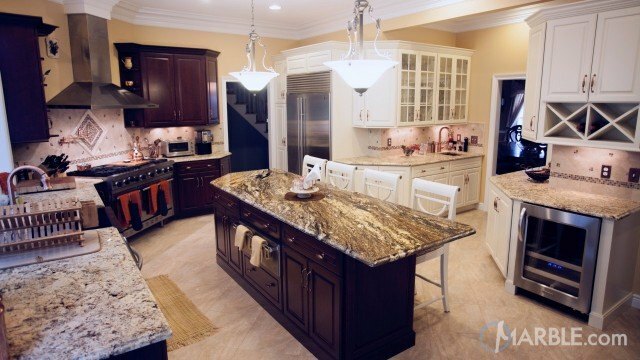 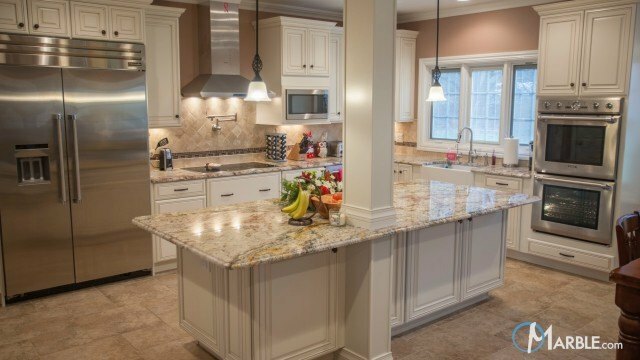 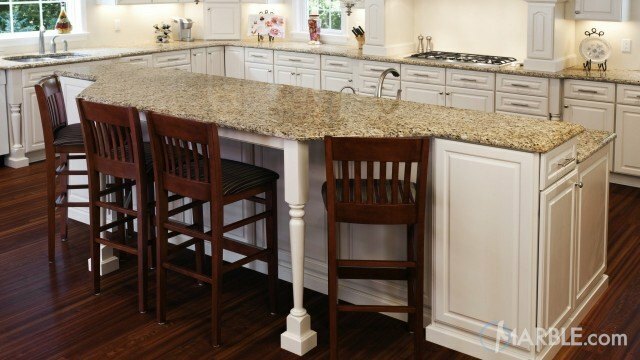 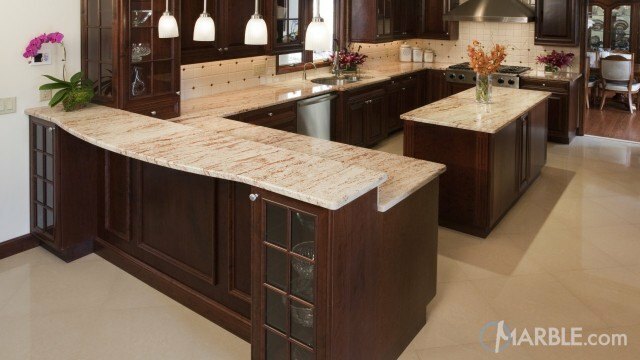 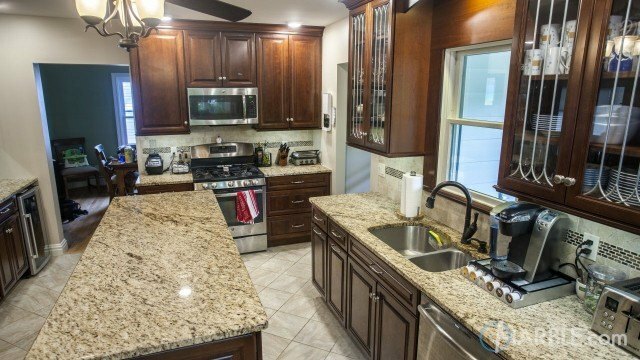 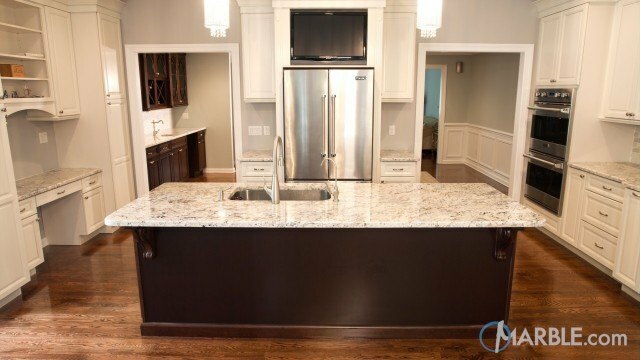 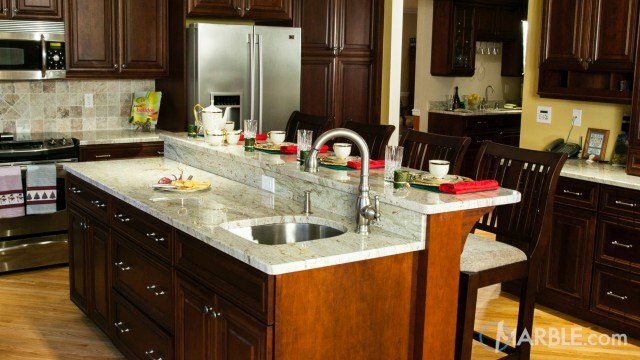 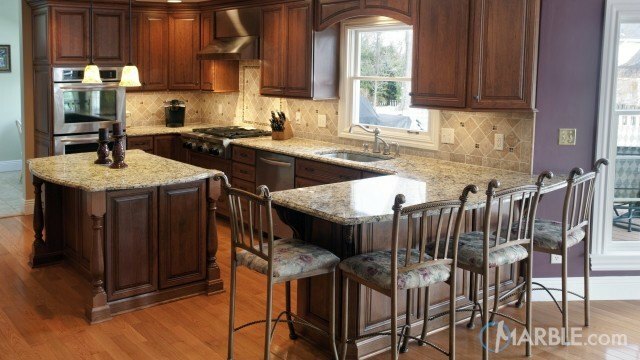 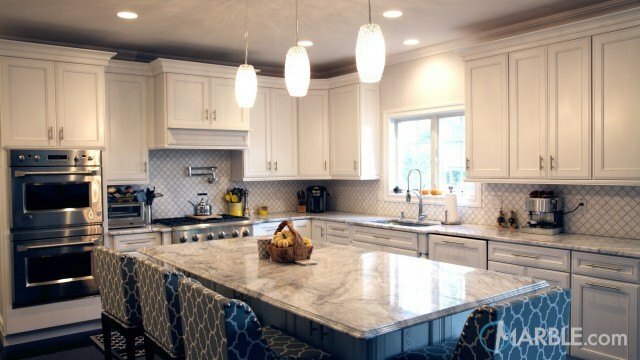 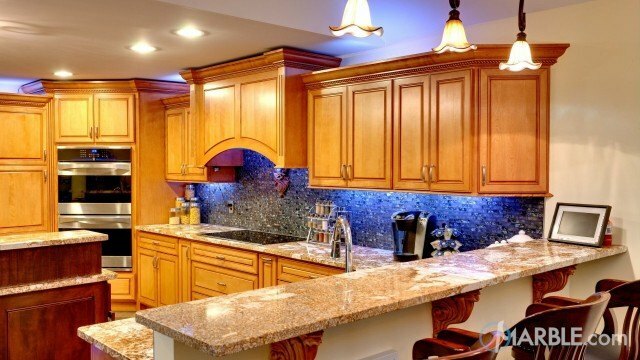 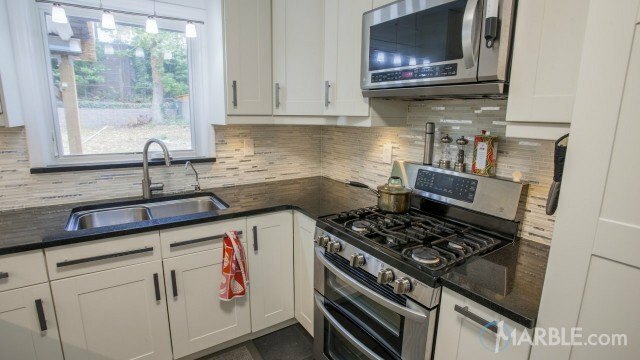 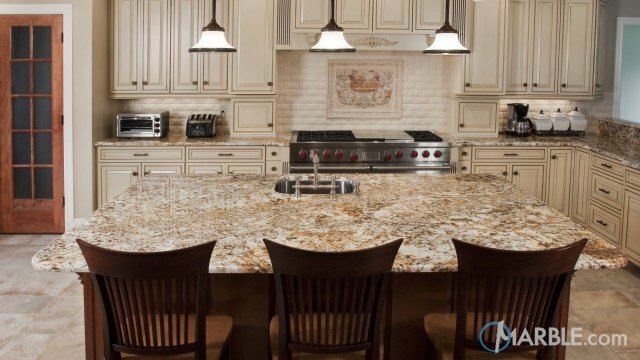 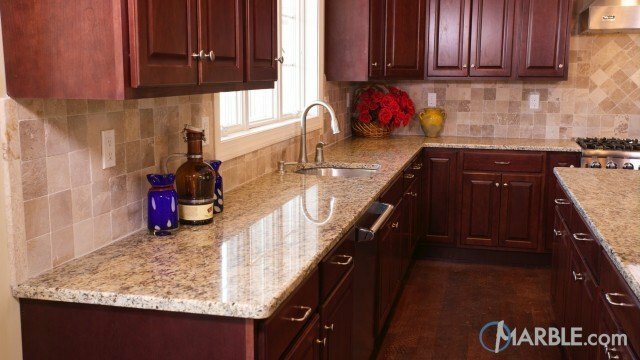 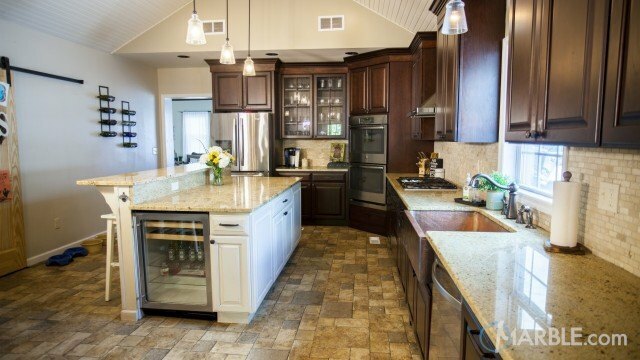 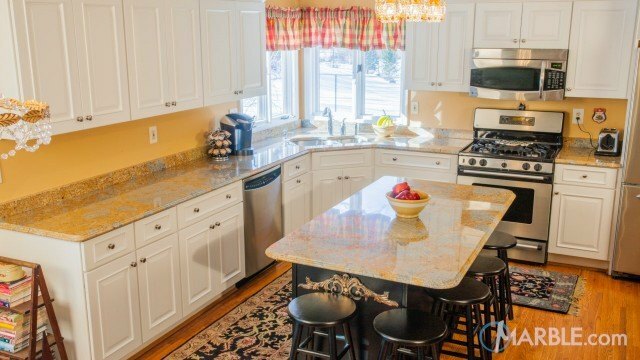 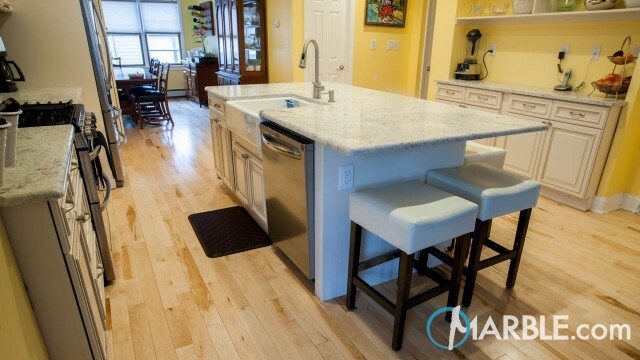 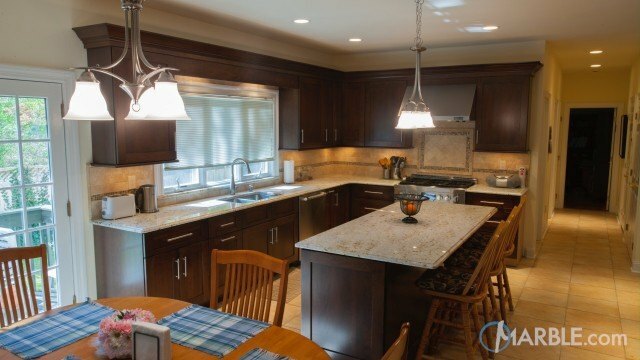 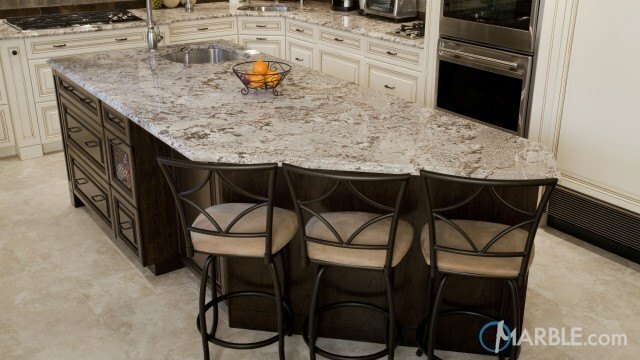 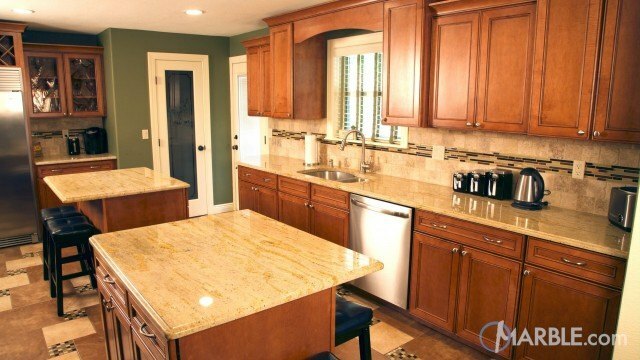 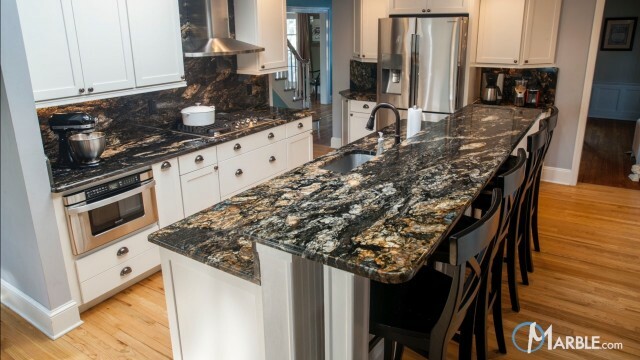 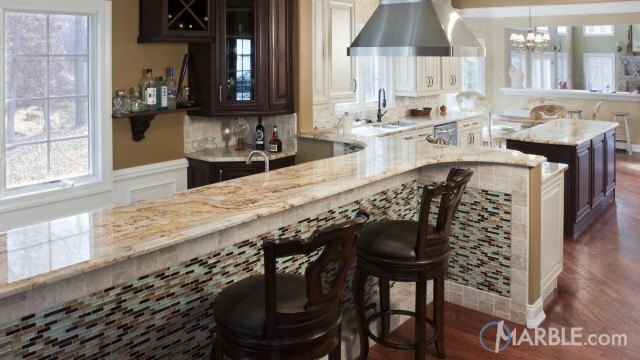 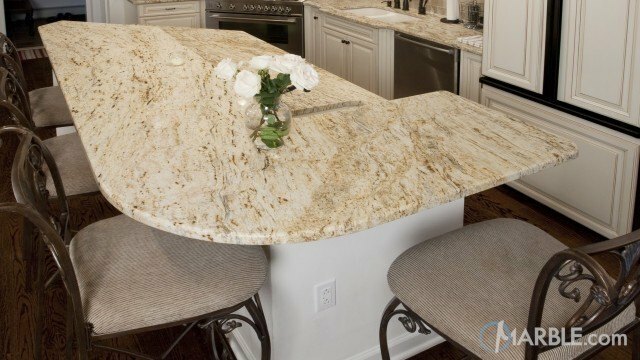 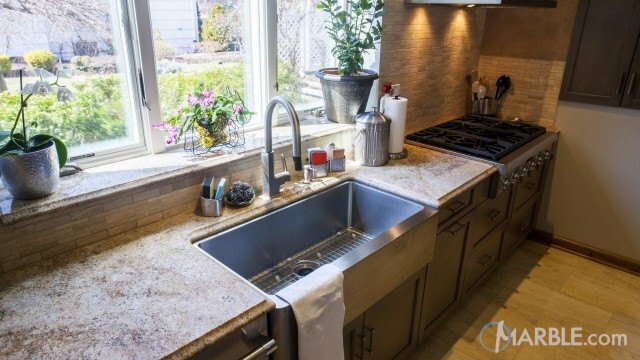 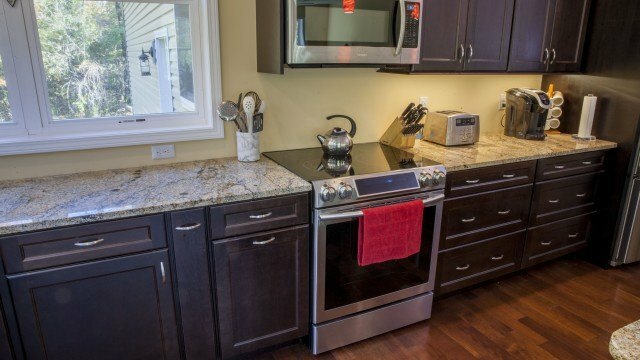 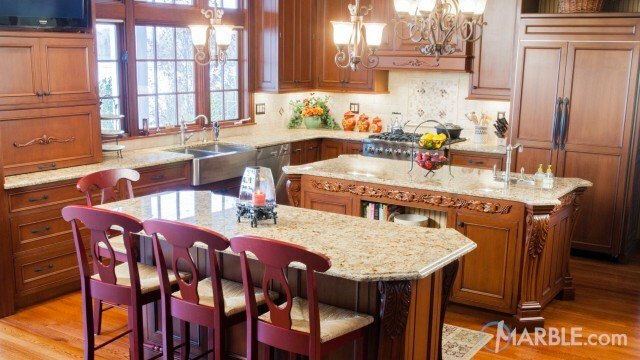 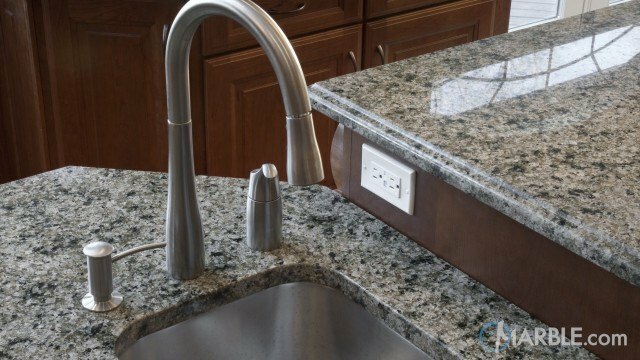 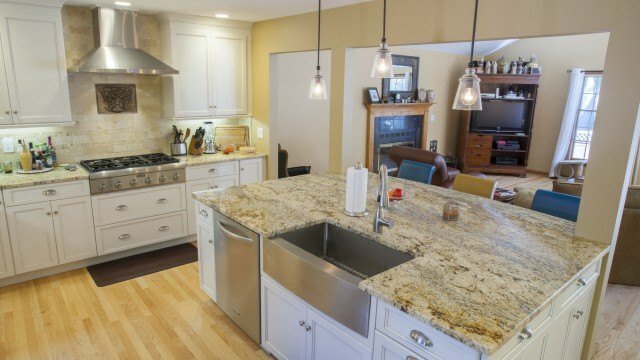 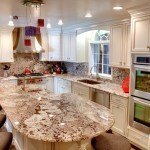 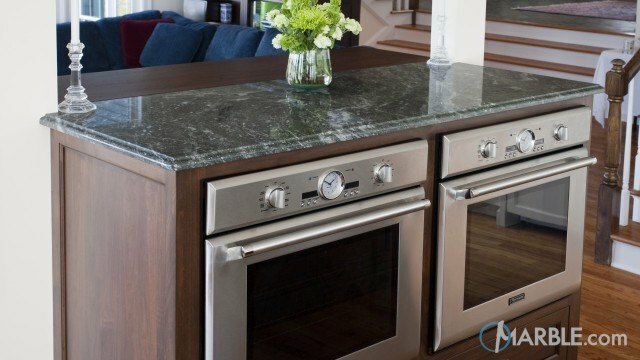 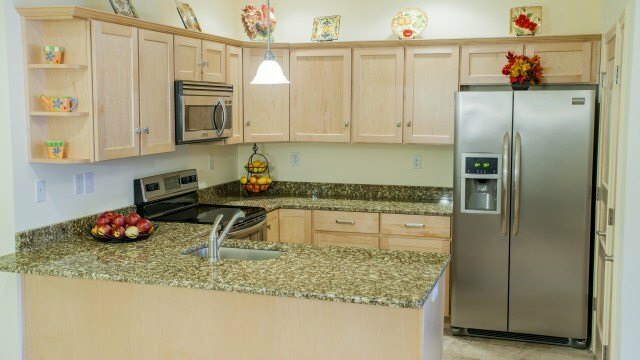 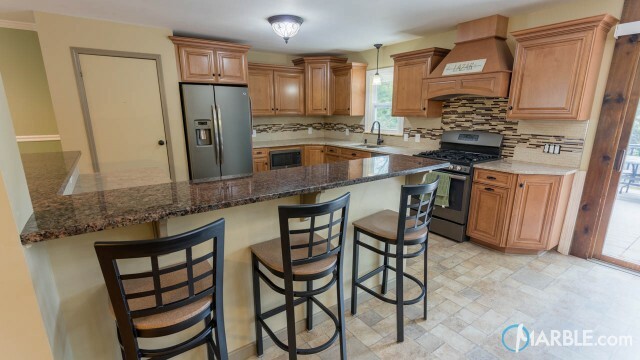 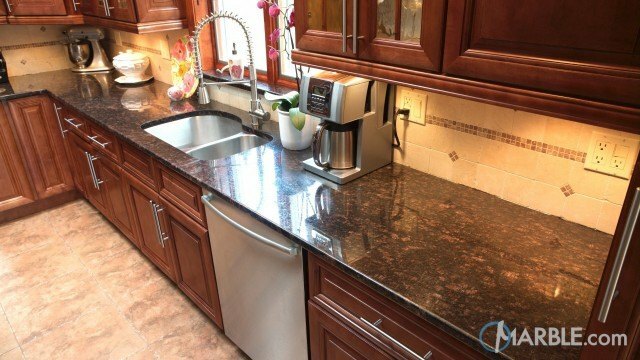 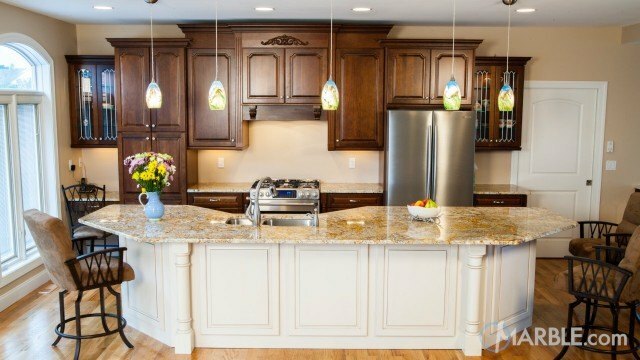 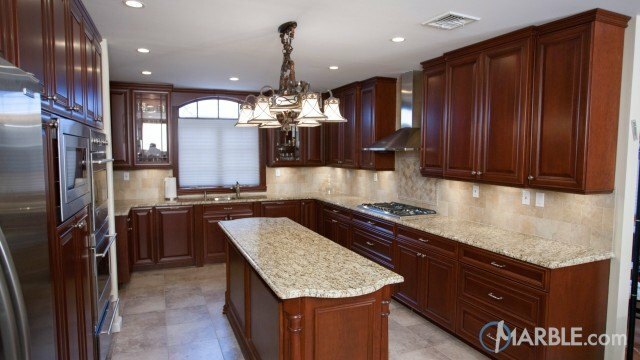 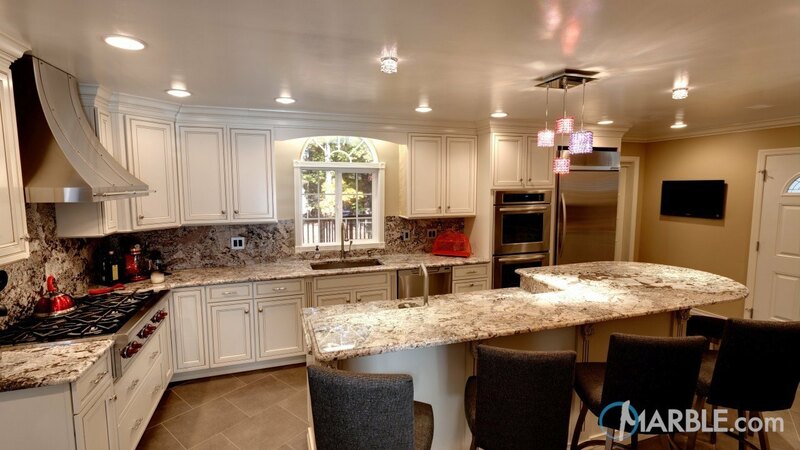 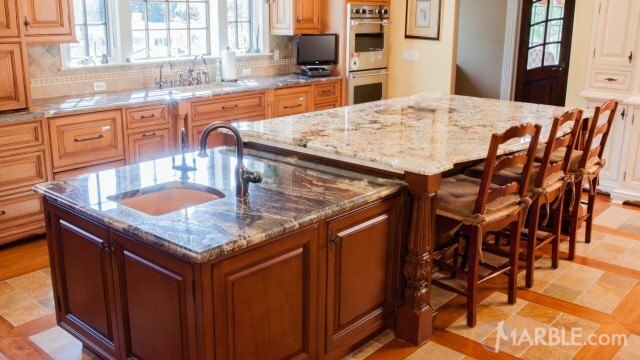 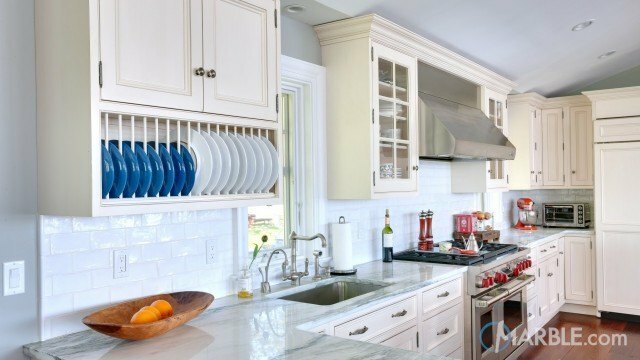 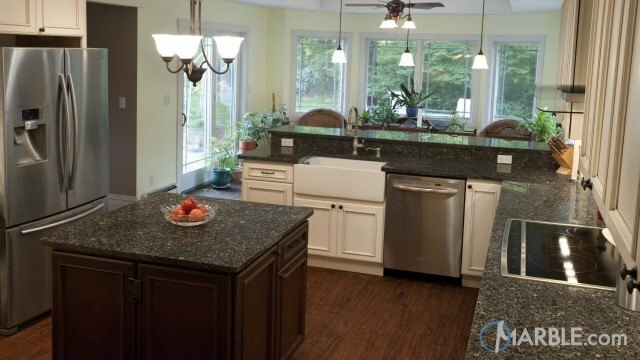 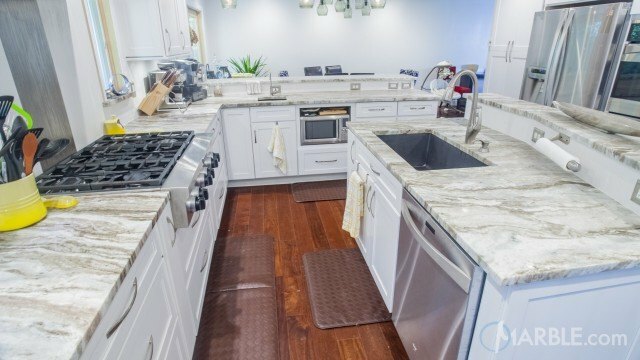 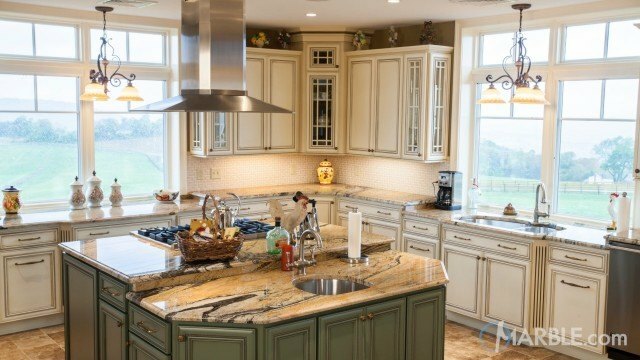 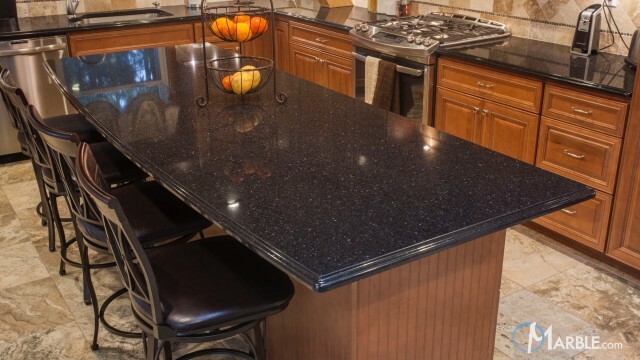 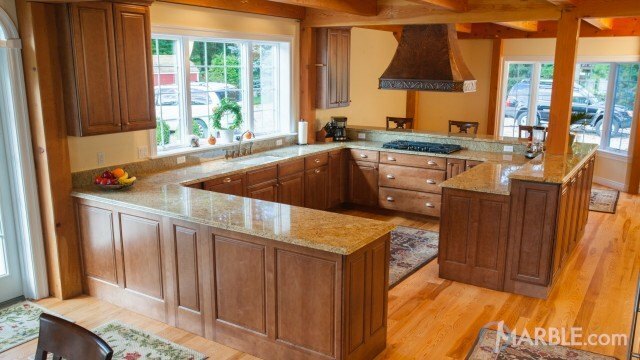 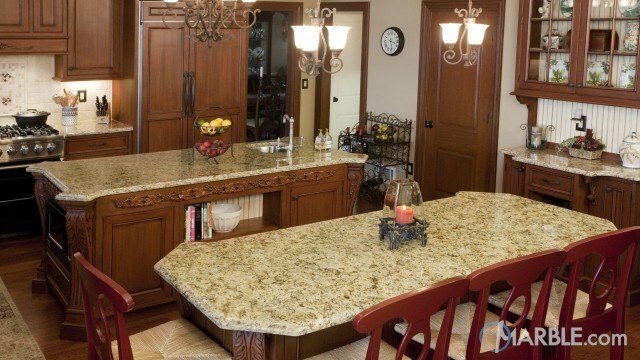 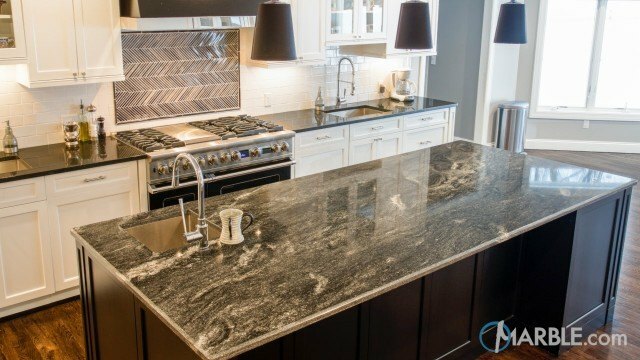 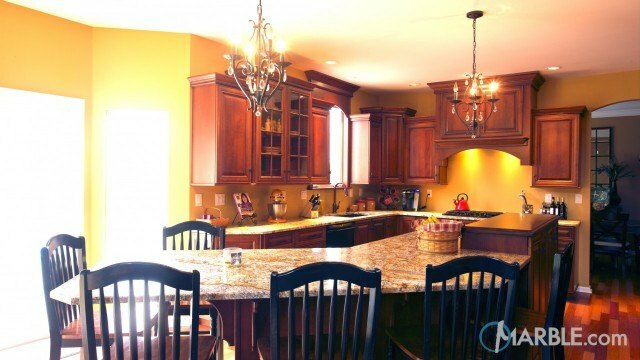 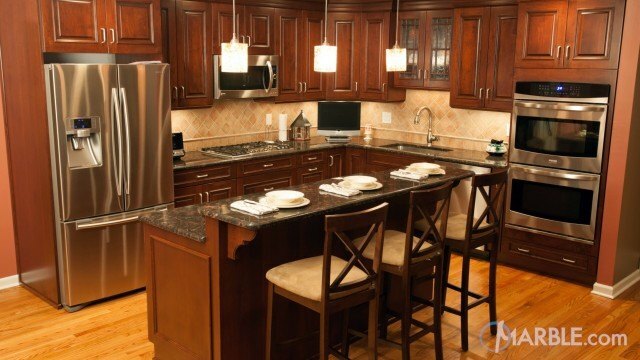 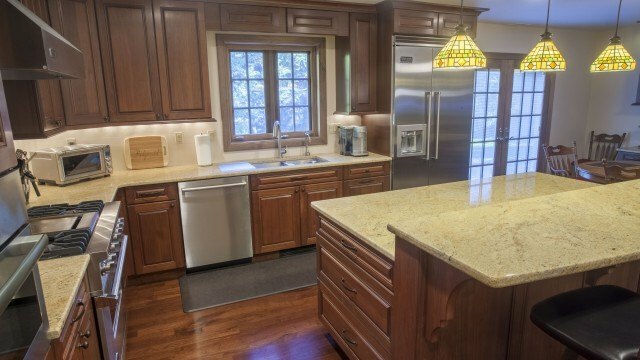 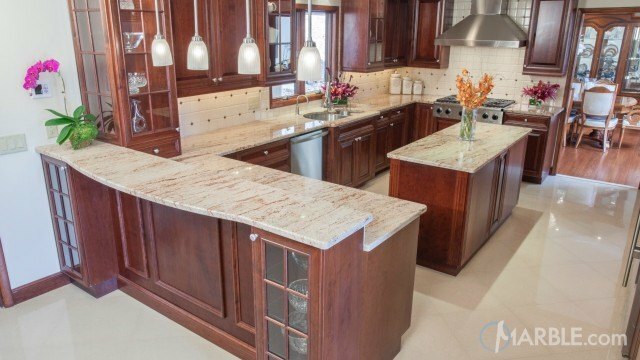 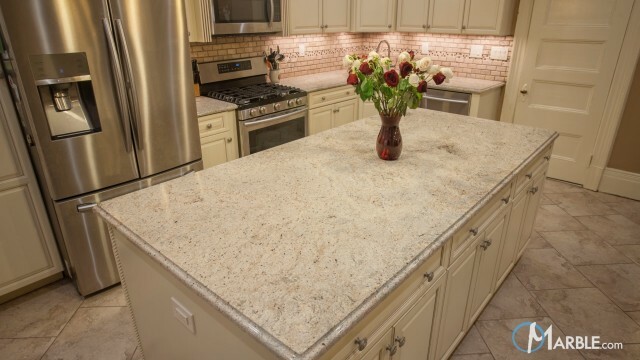 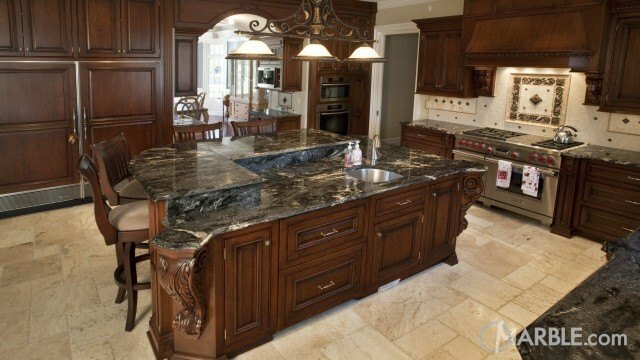 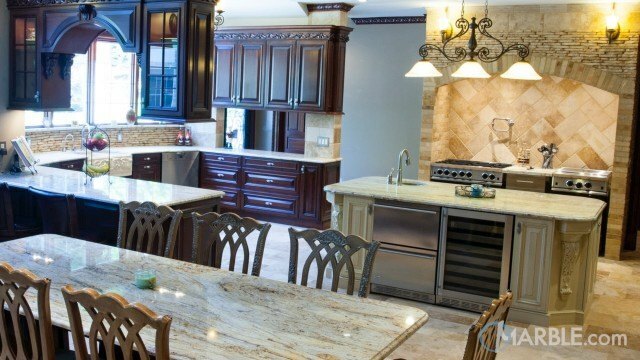 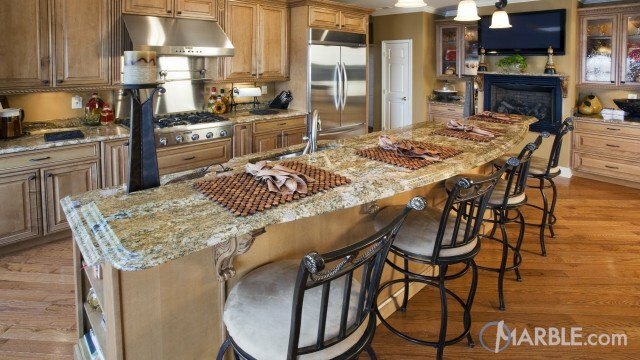 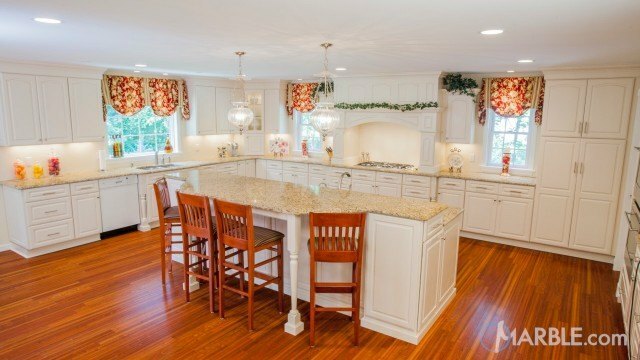 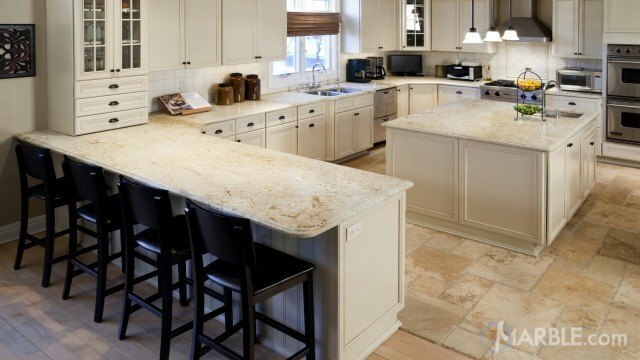 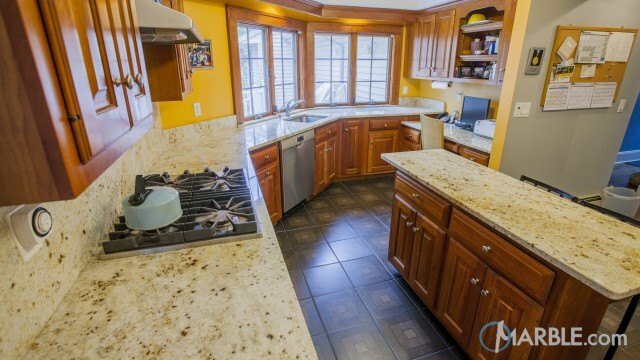 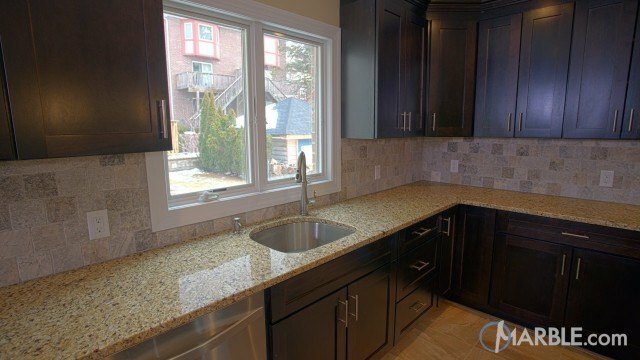 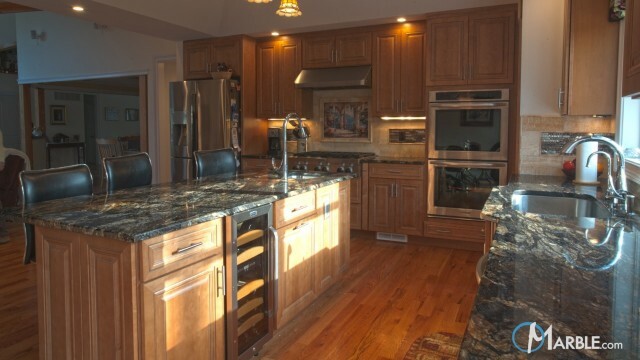 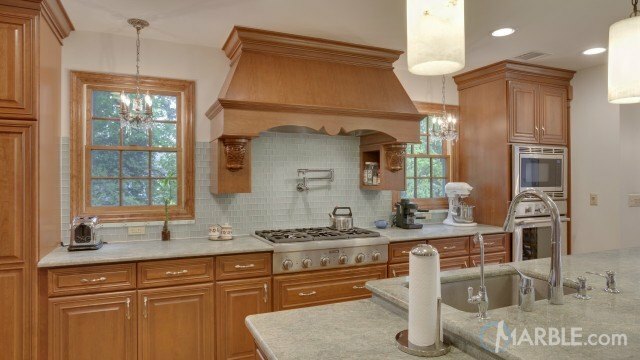 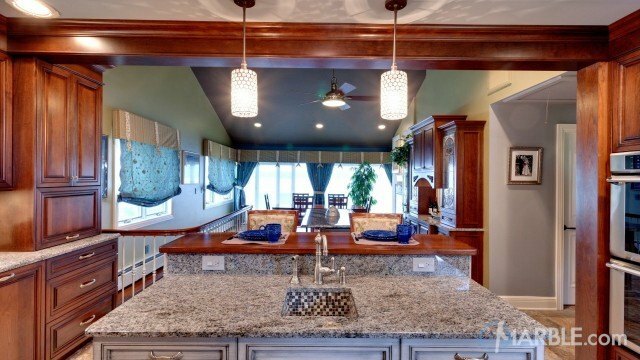 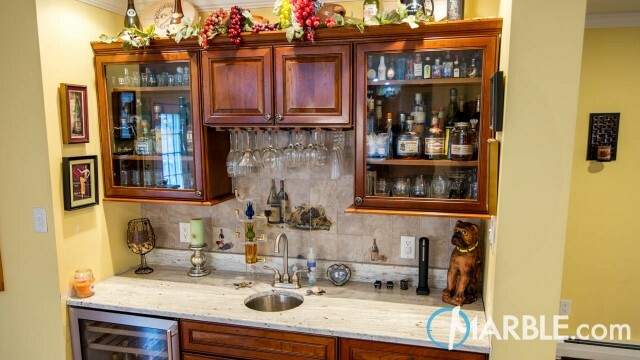 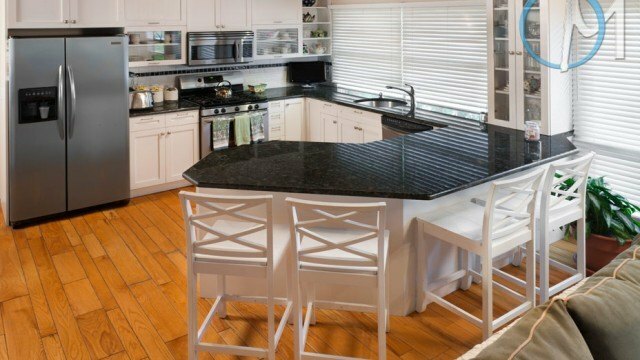 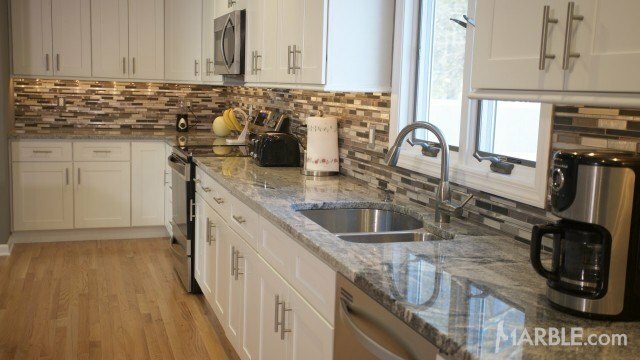 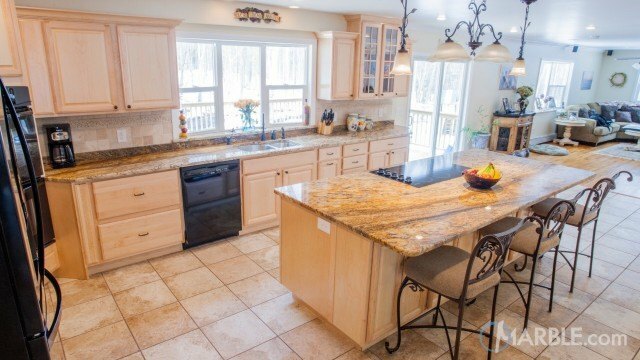 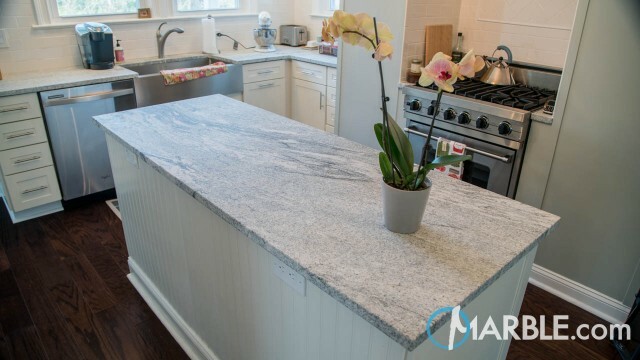 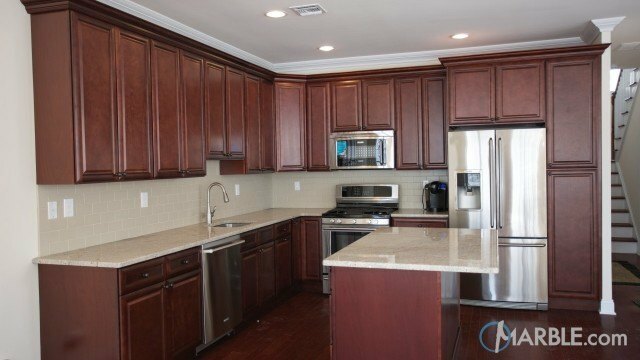 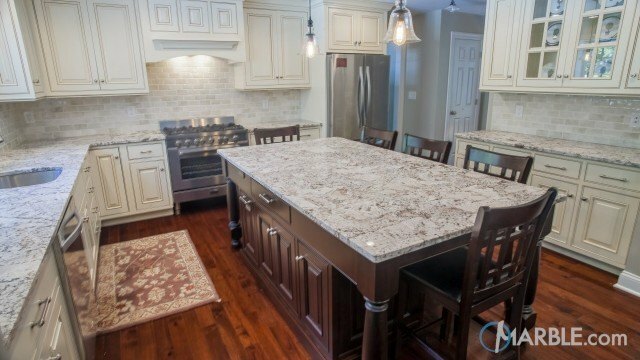 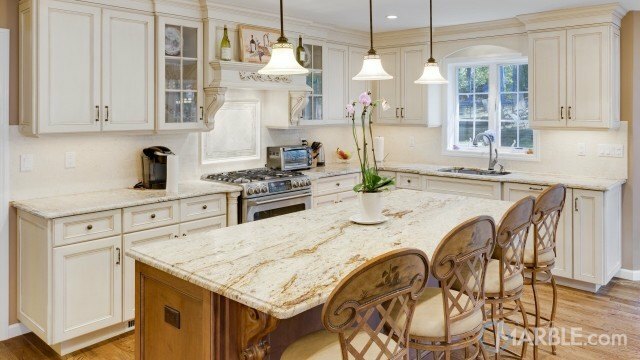 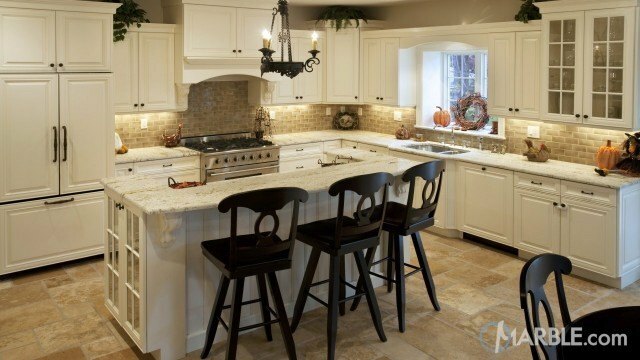 Bianco Antico Granite Countertop Design Ideas and Gallery. 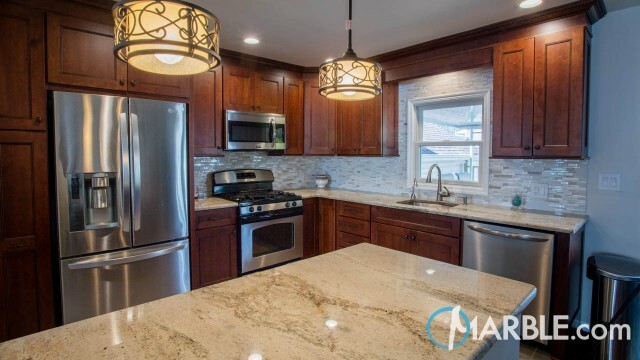 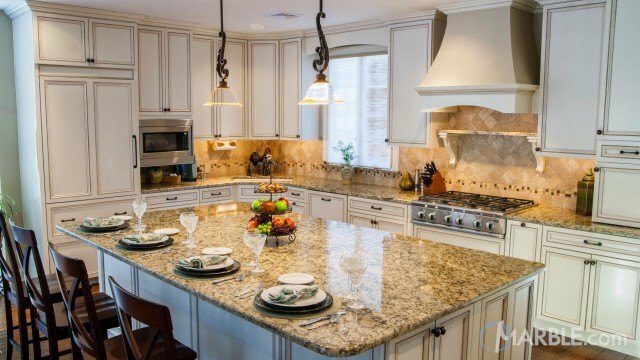 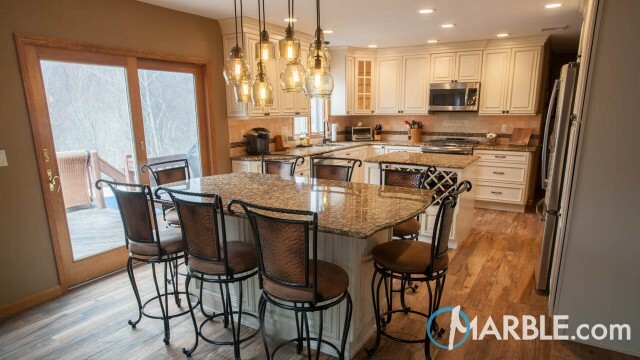 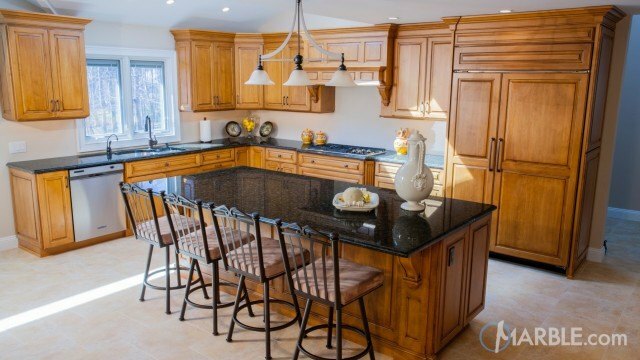 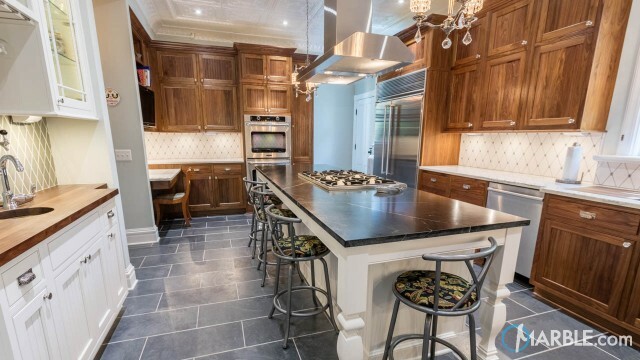 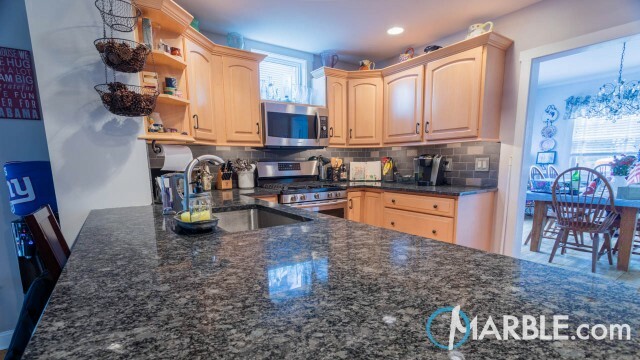 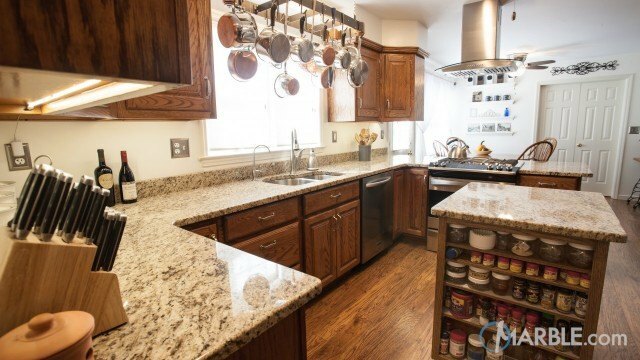 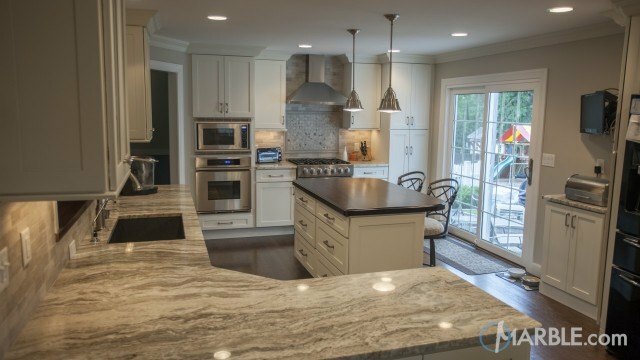 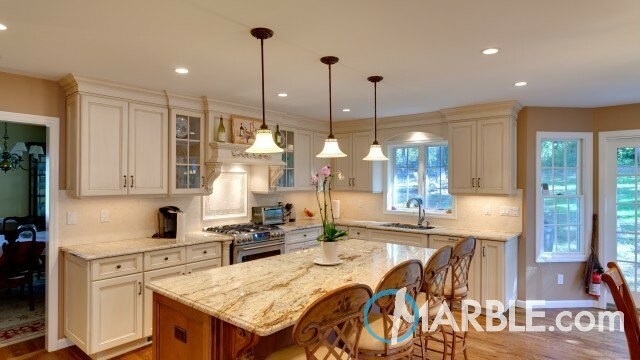 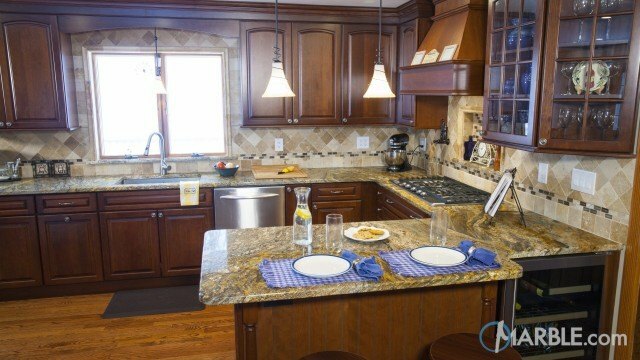 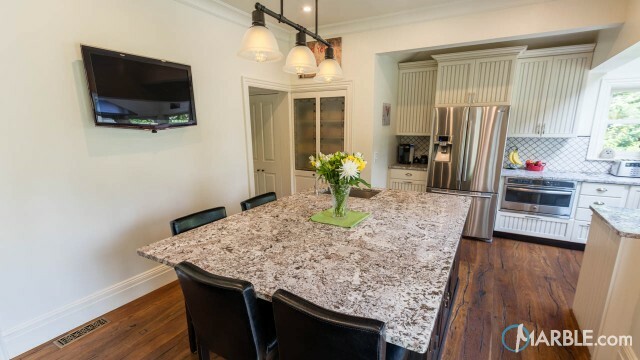 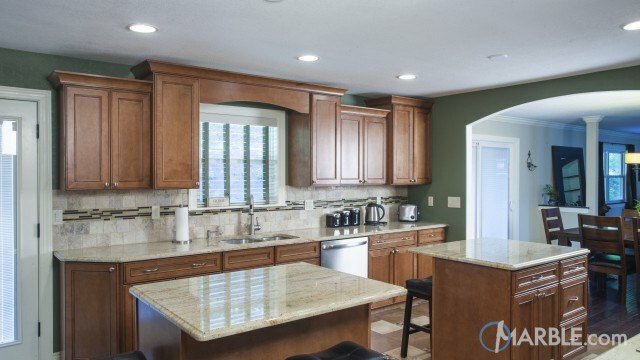 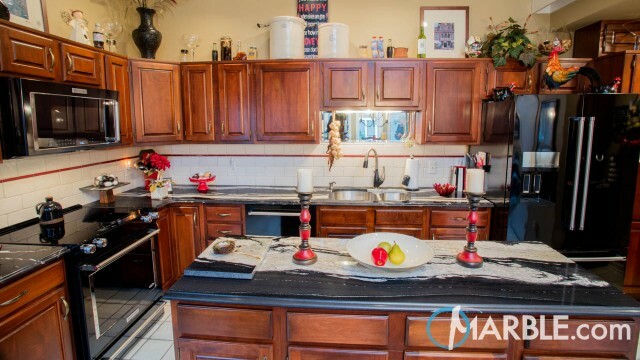 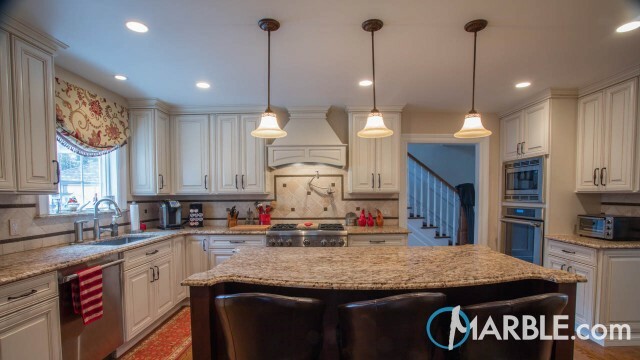 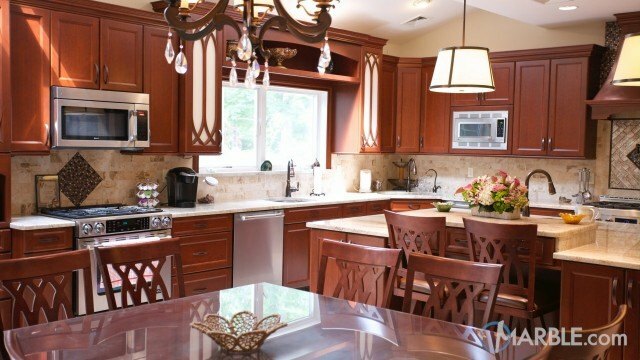 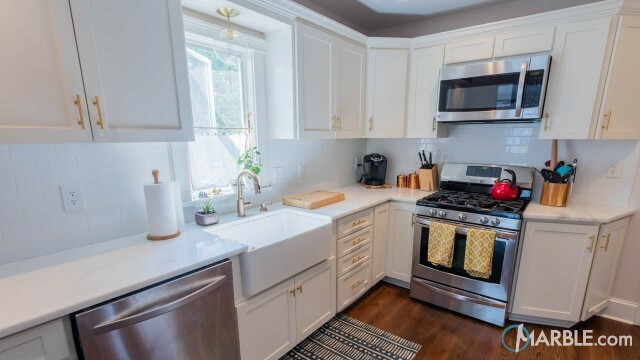 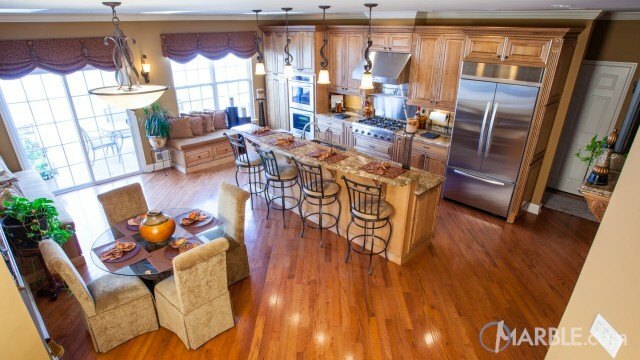 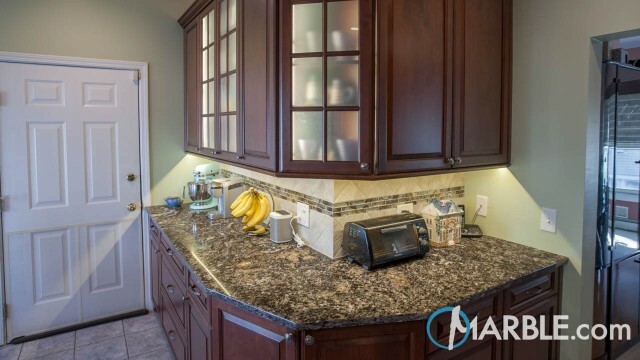 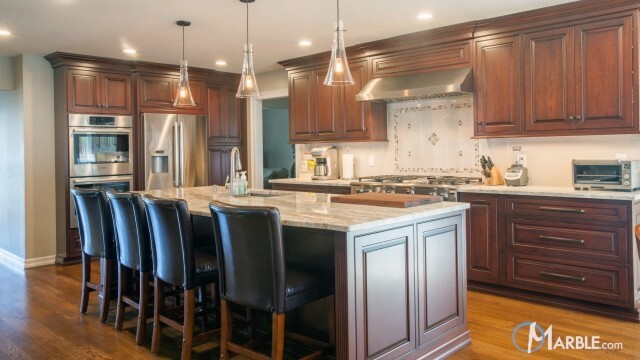 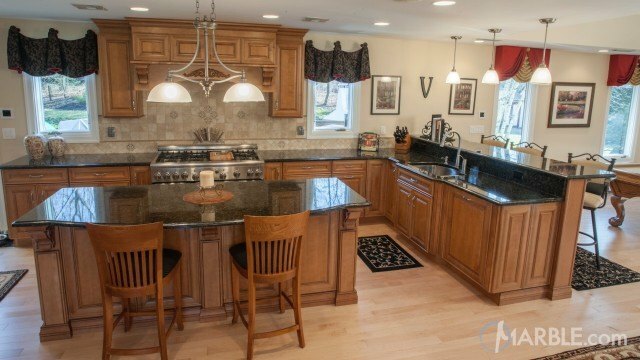 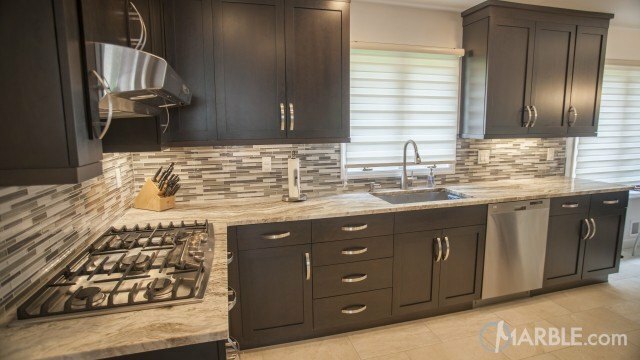 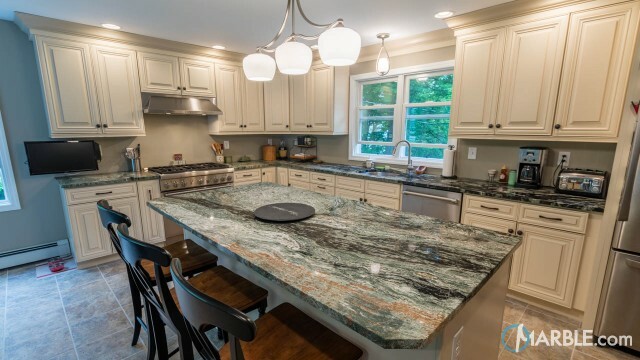 Bianco Antico granite is the focal point of this stylish kitchen. 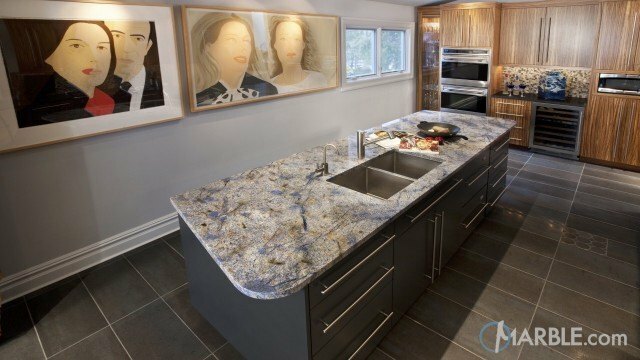 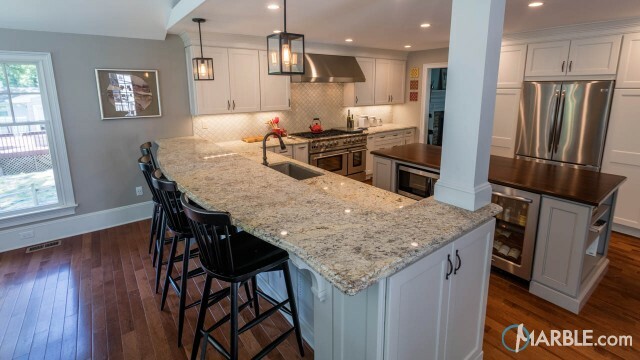 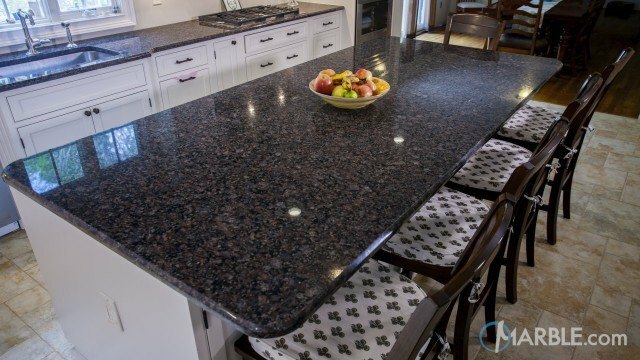 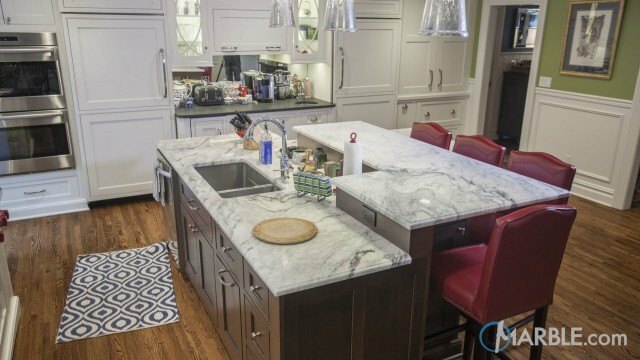 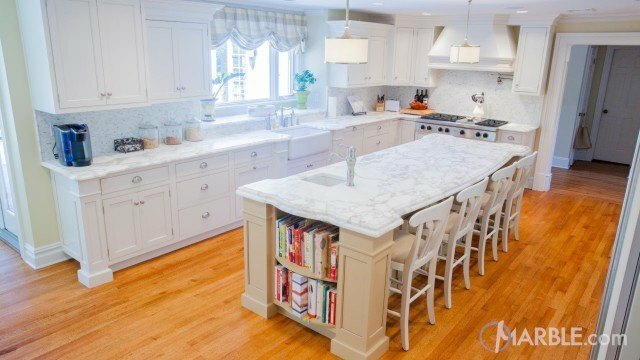 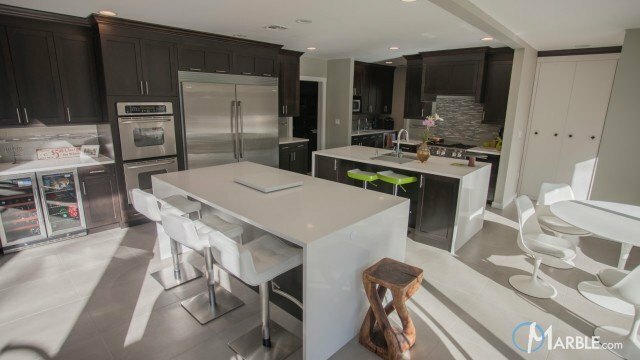 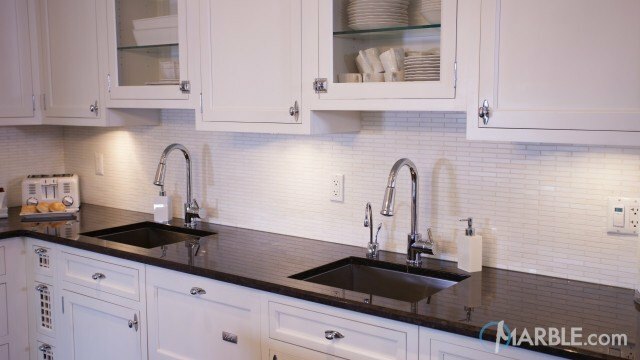 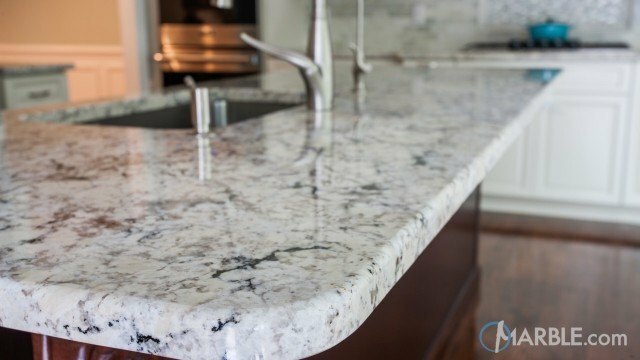 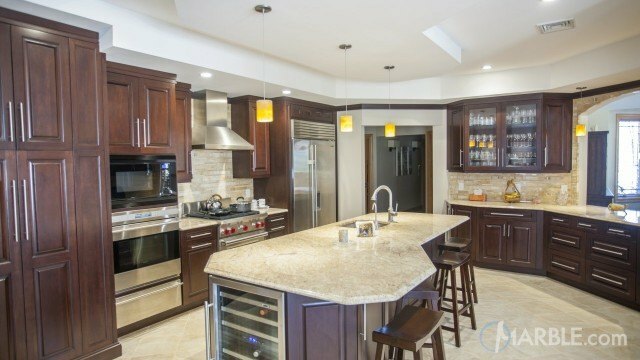 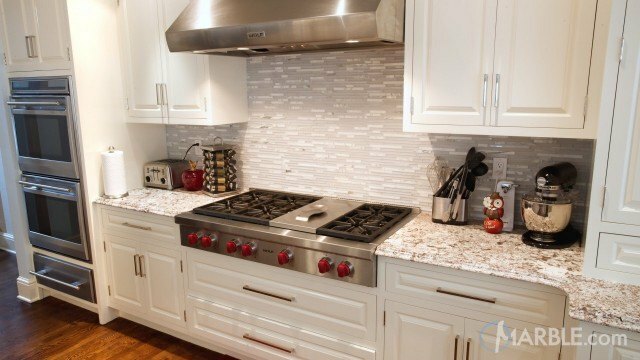 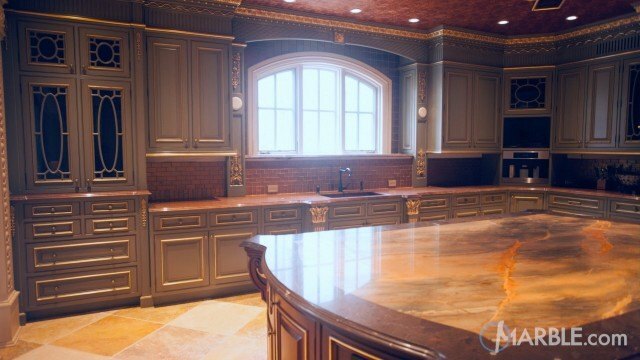 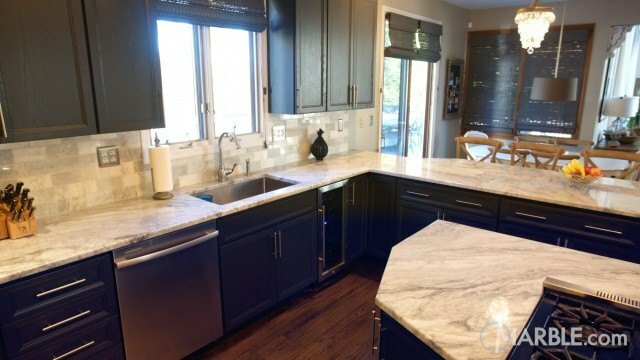 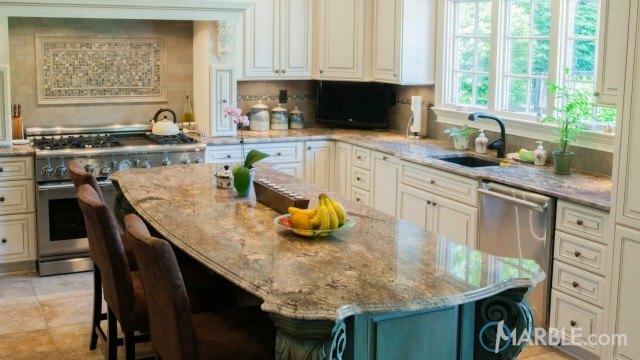 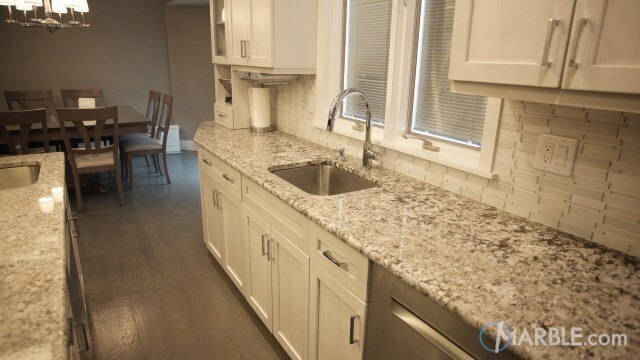 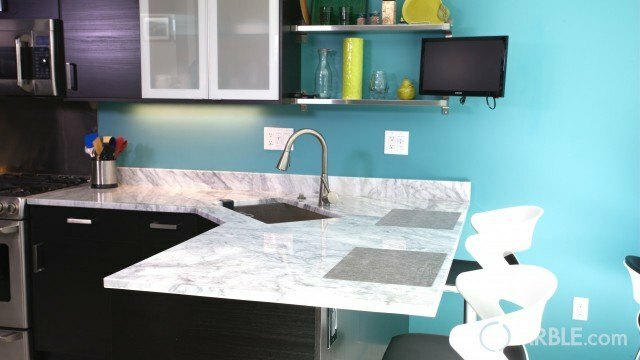 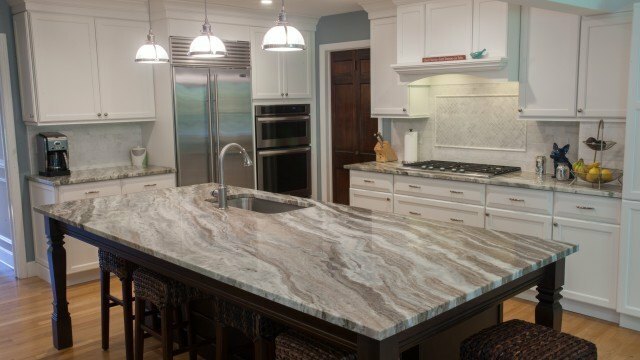 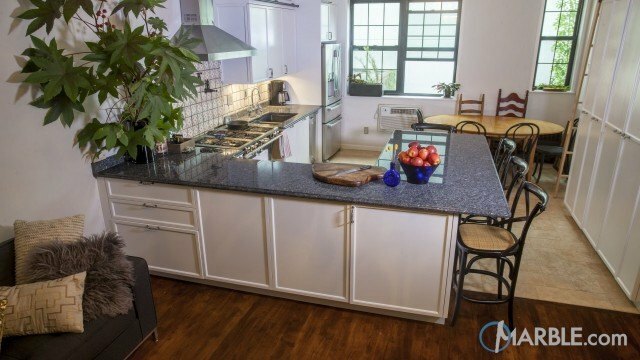 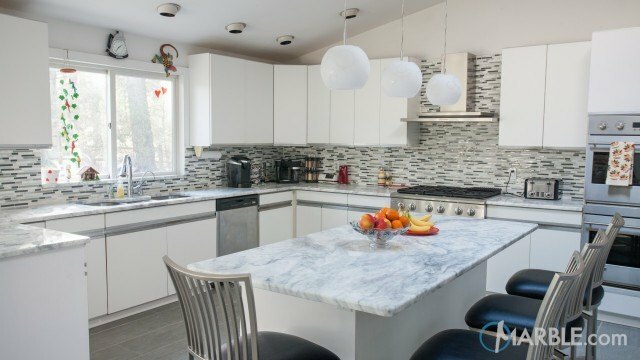 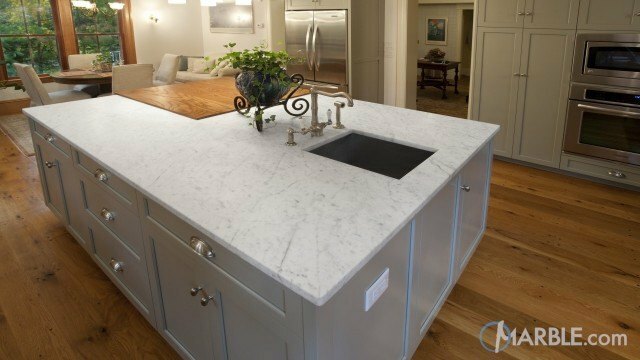 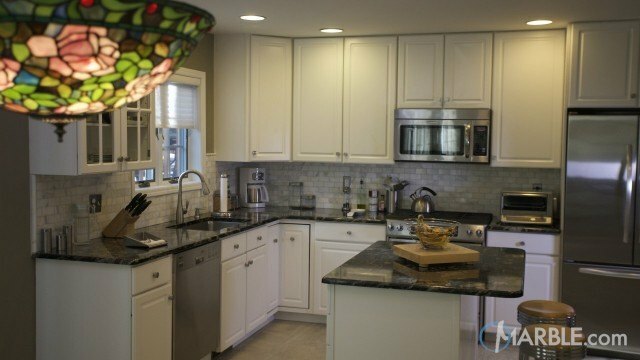 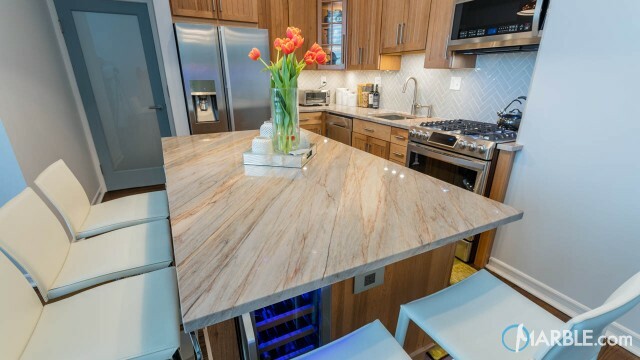 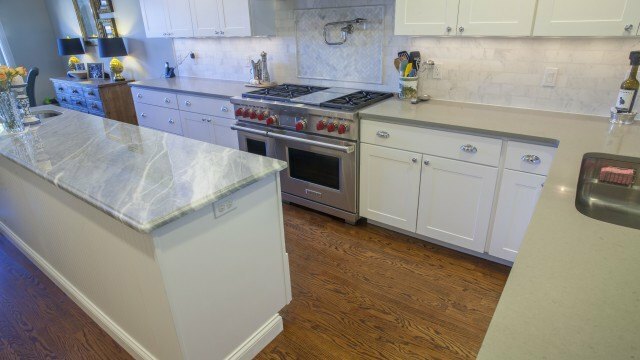 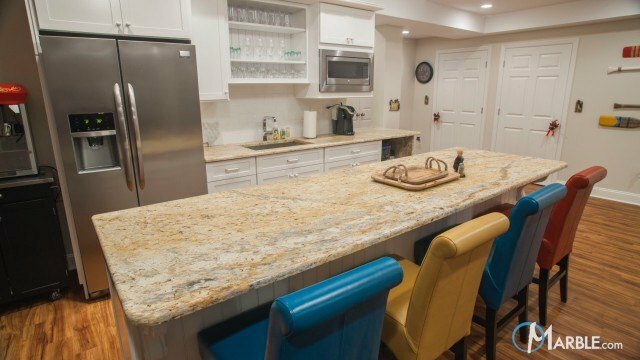 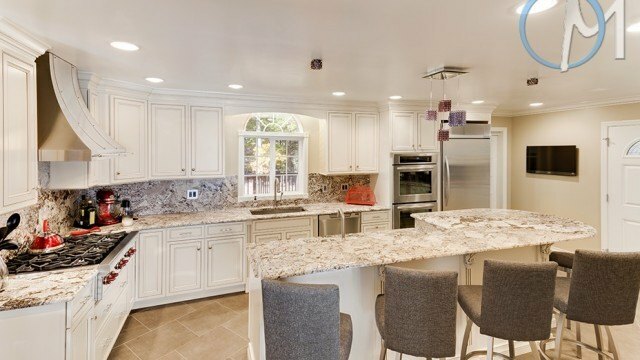 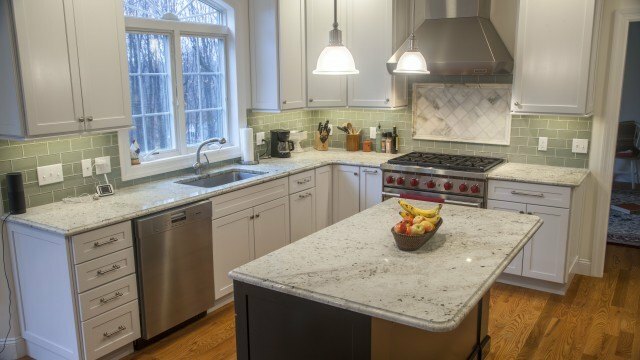 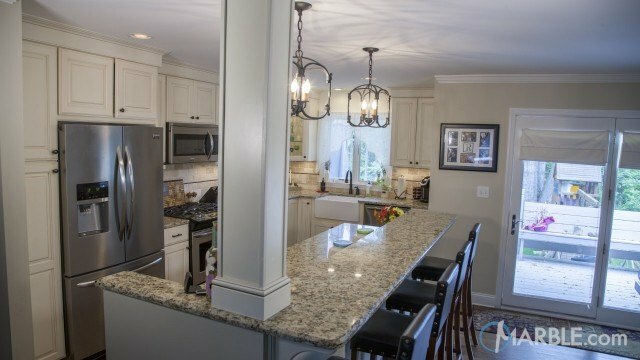 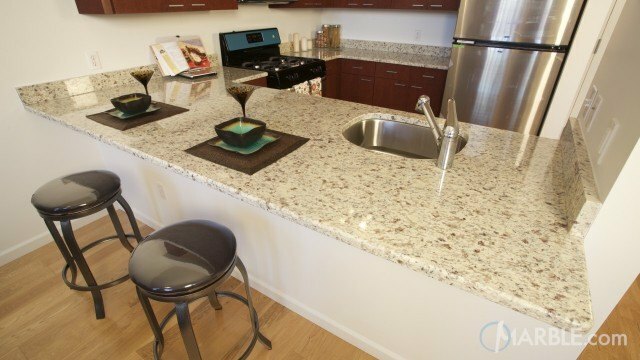 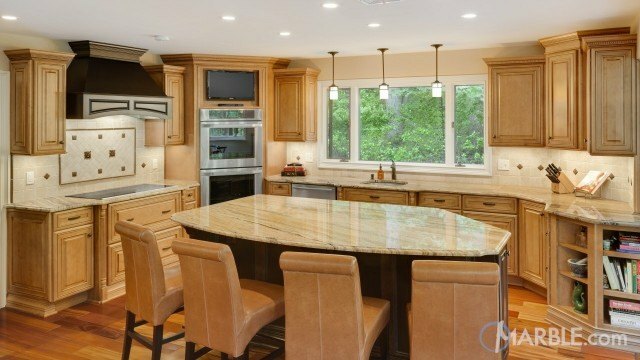 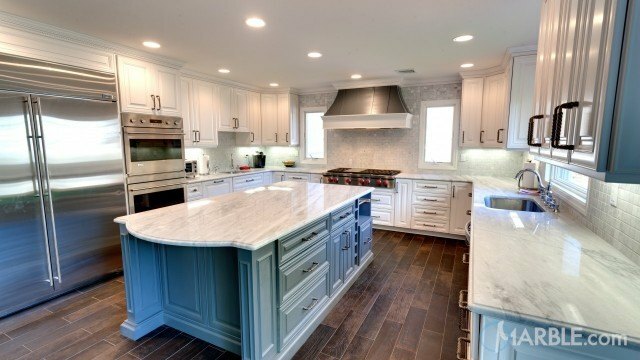 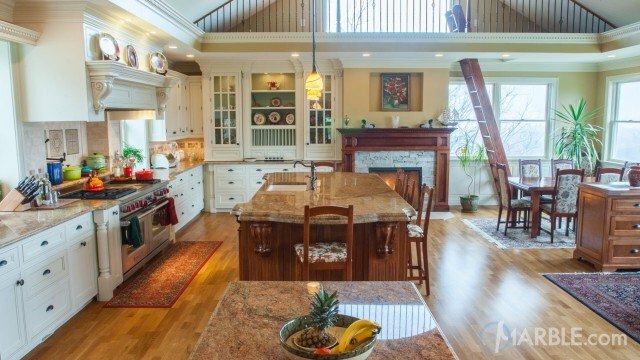 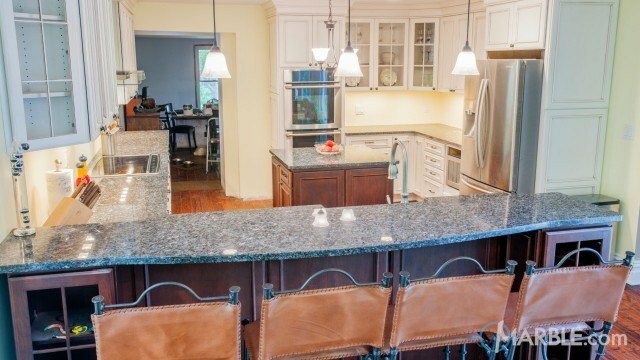 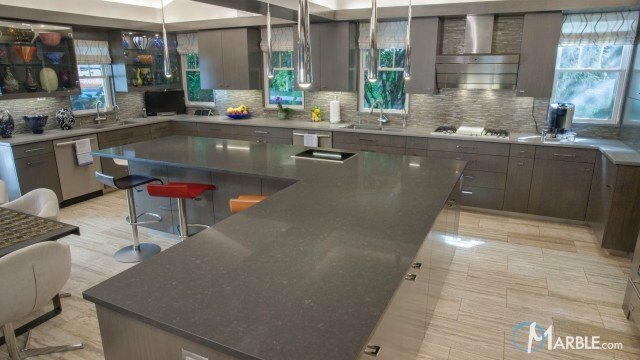 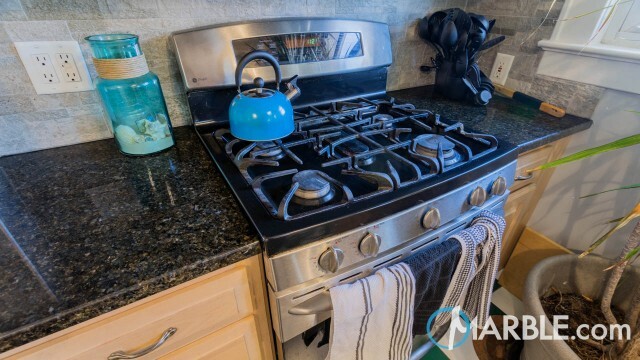 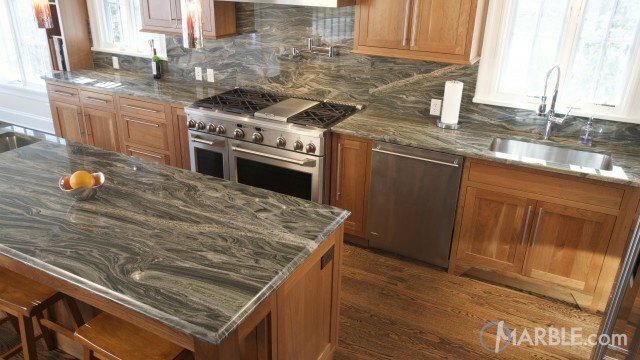 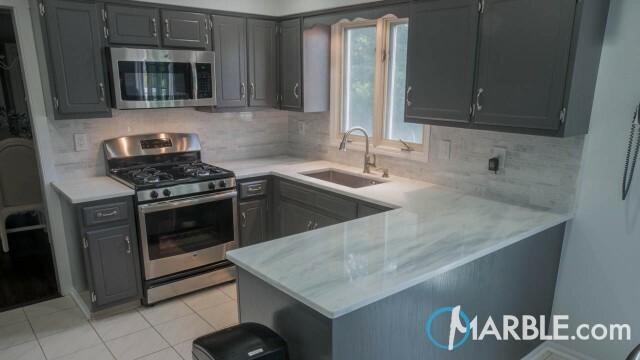 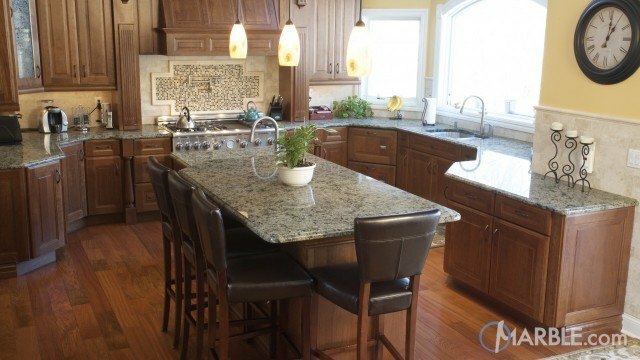 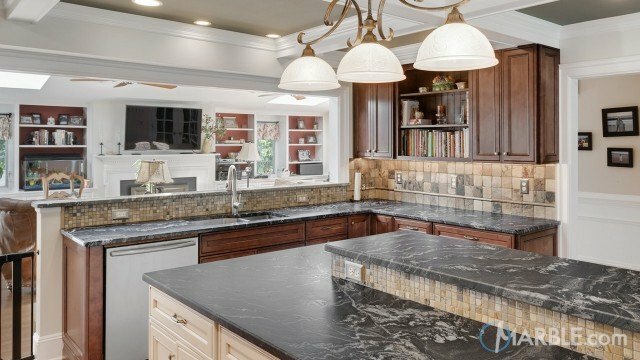 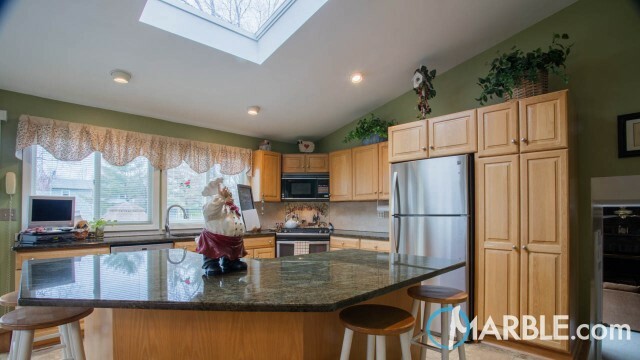 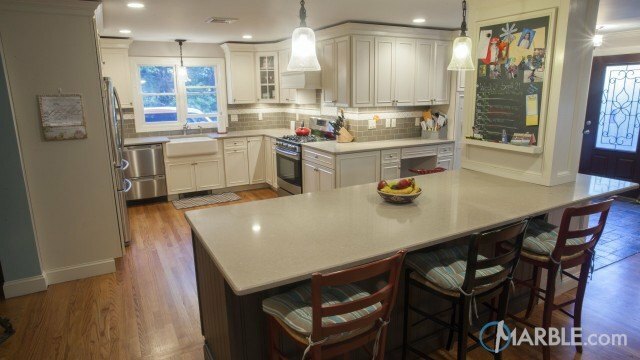 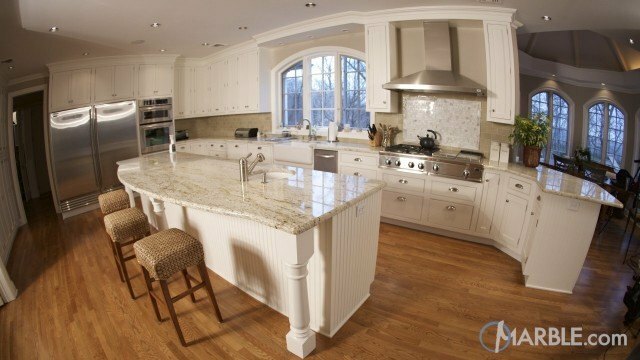 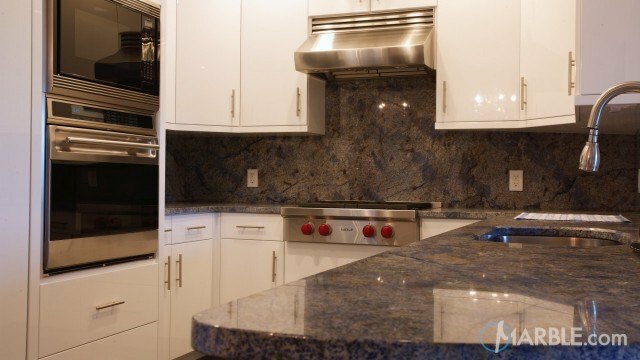 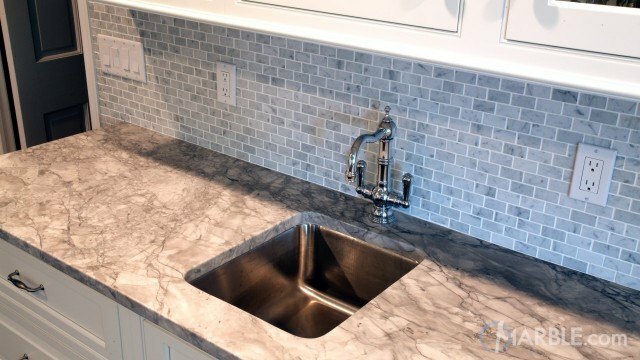 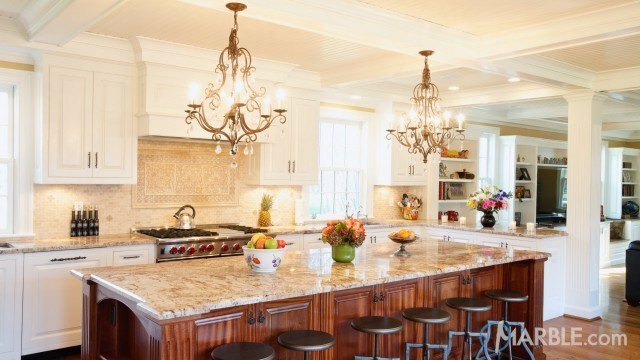 Not only is the Bianco Antico used for the well-lit kitchen island counter top but the granite is also utilized as the back splash, which provides a unique look. 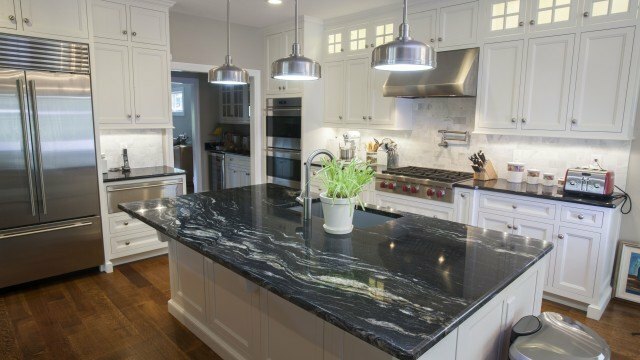 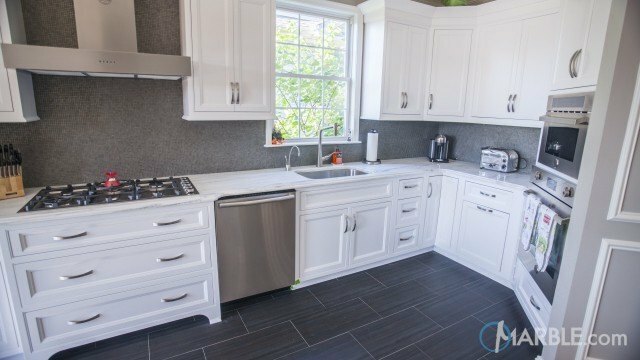 The white and black elements of the room are pulled together by the white granite with grey quartz deposits with hints of burgundy and black mica.